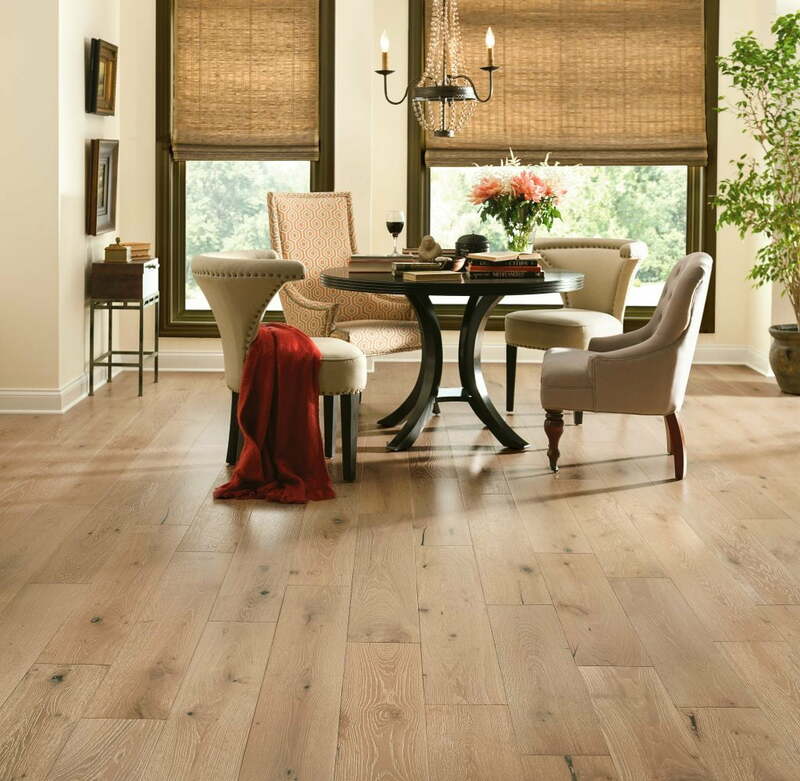 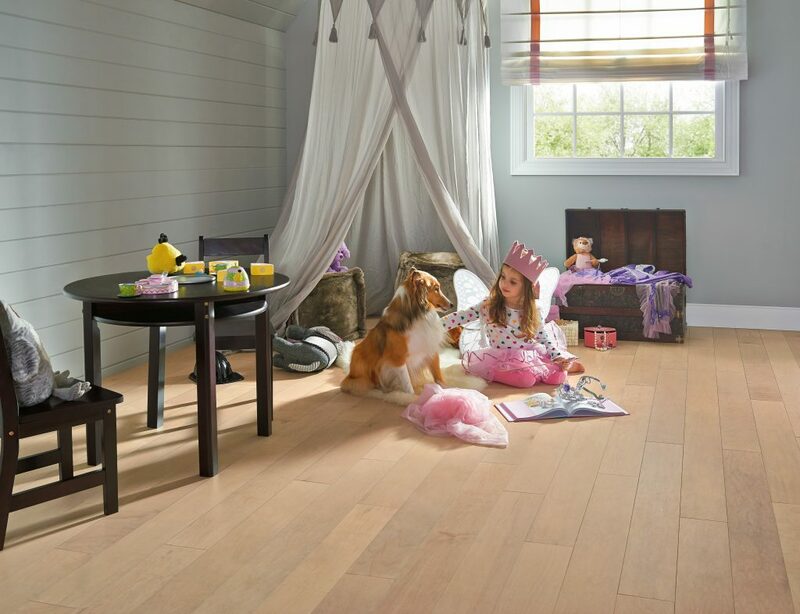 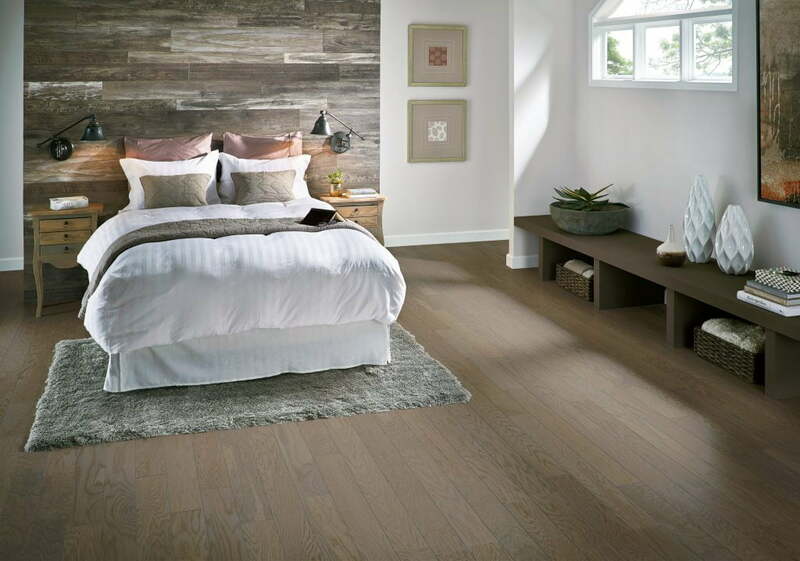 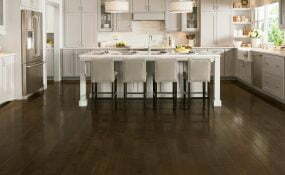 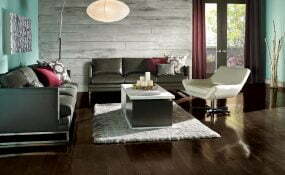 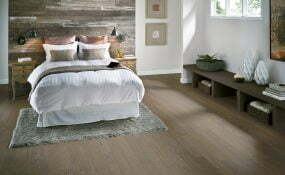 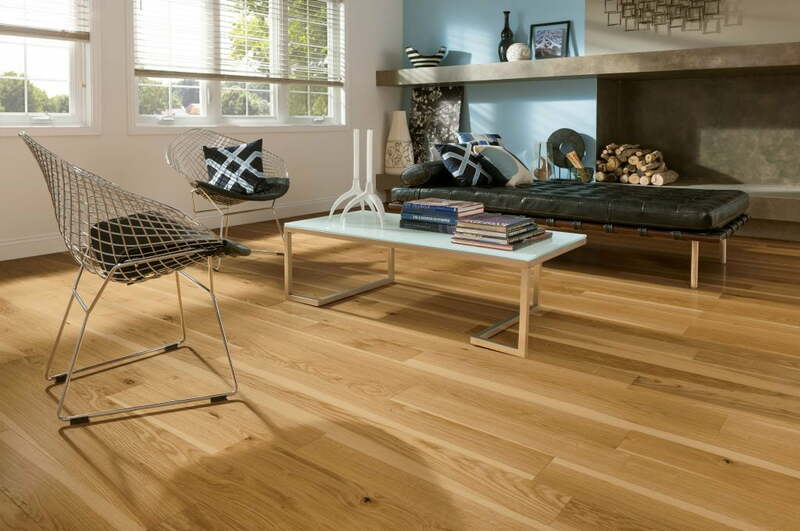 White Oak – Deep Etched Dark ForestPlenty of hardwood floors claim to be tougher than anything you can throw at them. 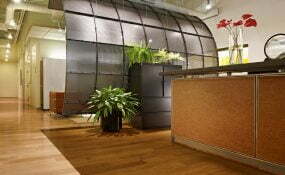 But most are only protected on the surface. 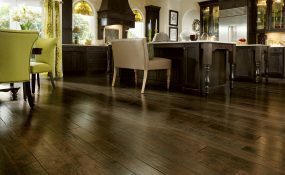 Underneath they are just like any other hardwood floor. 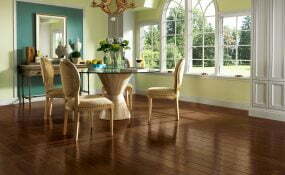 hardwood, which gets infused with liquid acrylic to make the wood itself more than twice as hard. Then, it’s further protected with the Armstrong Lifetime Finish, our toughest finish. Instead of being limited to species typically considered appropriate for active homes and high-traffic rooms, you can choose from six species based entirely on your style preferences. 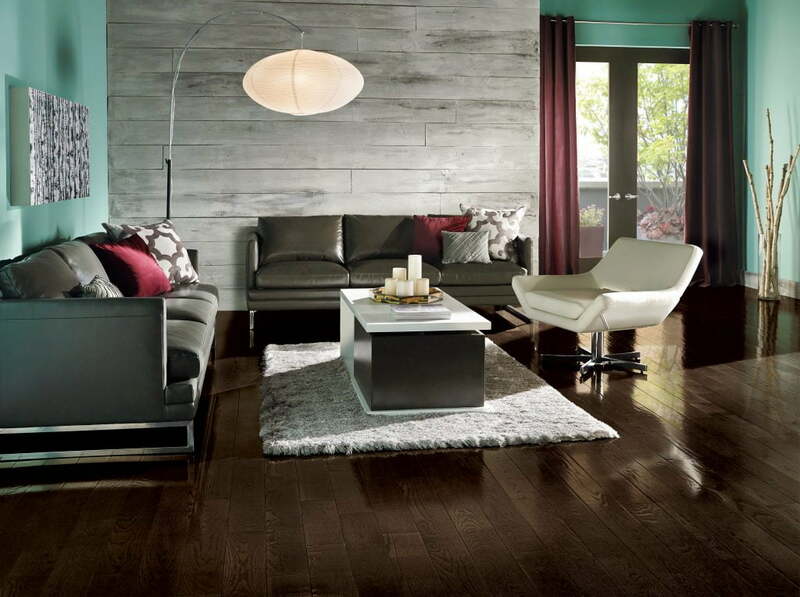 From the subtle elegance of cherry to the bold variation of walnut, simply choose the look you love. 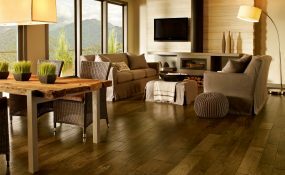 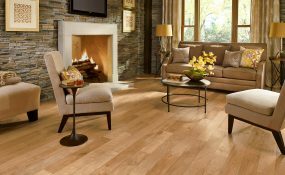 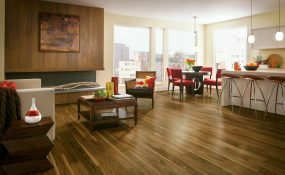 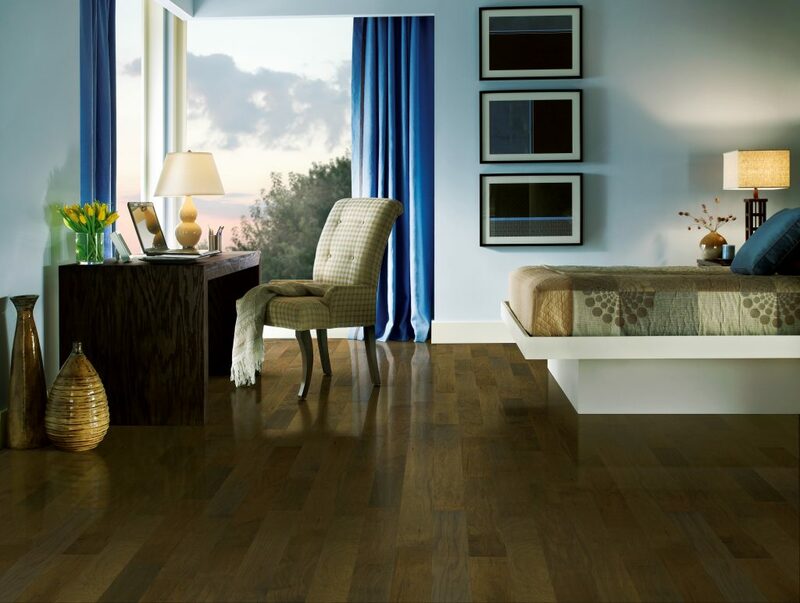 This stunning hardwood collection is inspired by the diversity of the American landscape and designed for lasting beauty. 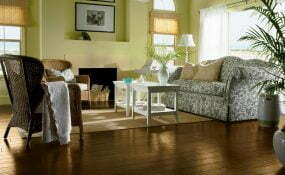 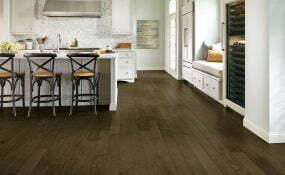 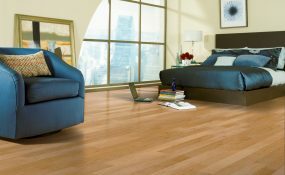 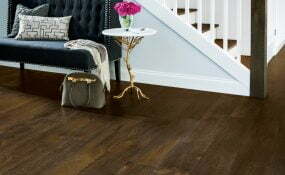 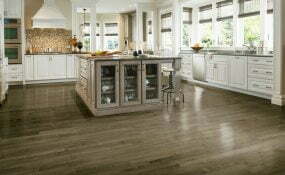 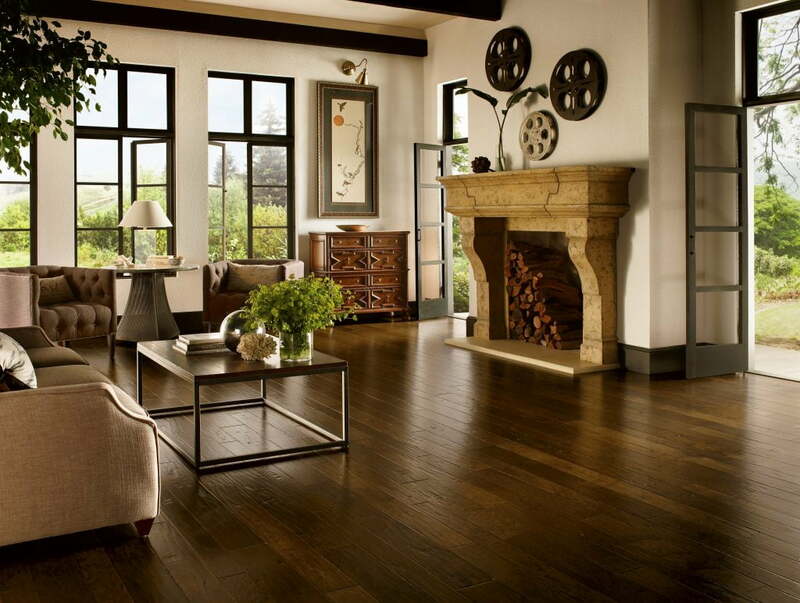 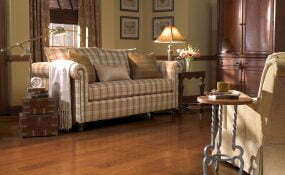 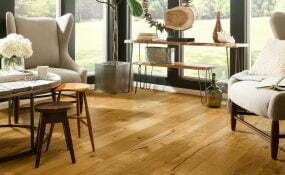 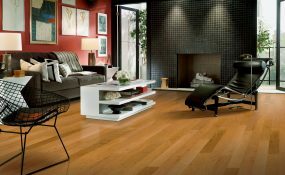 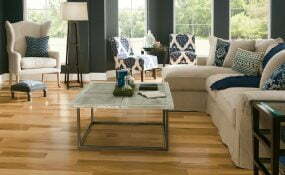 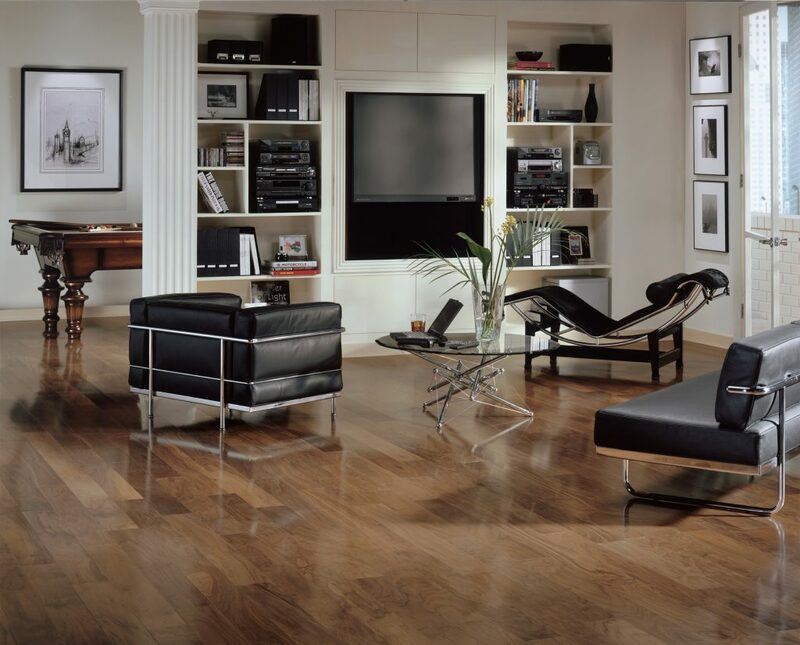 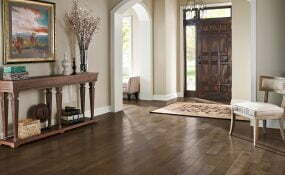 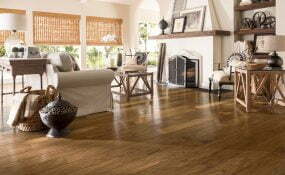 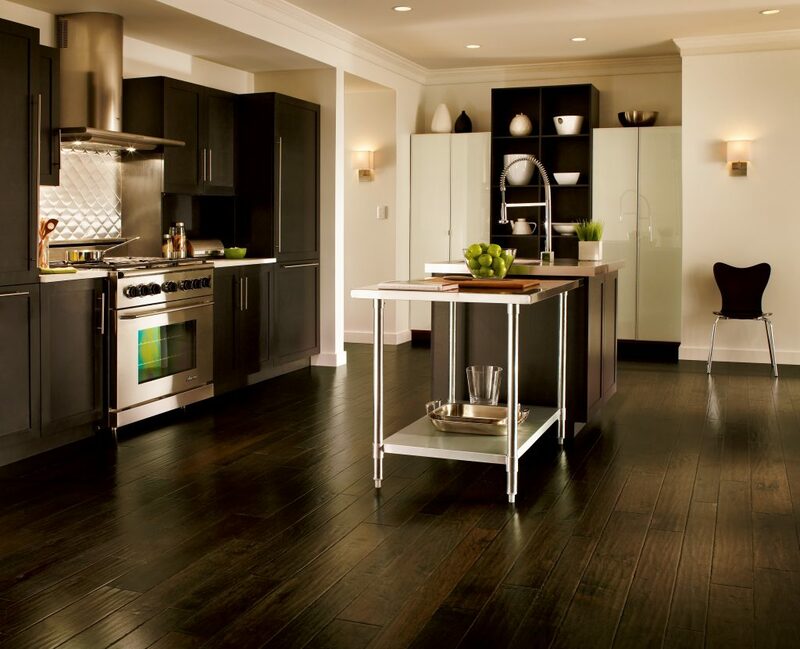 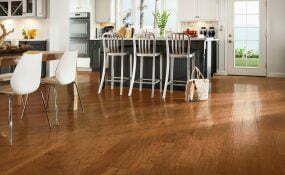 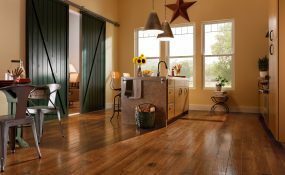 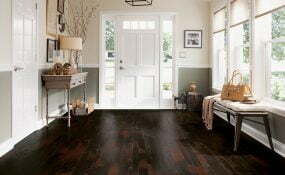 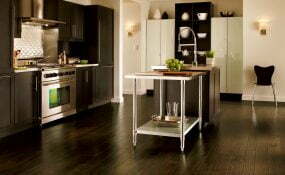 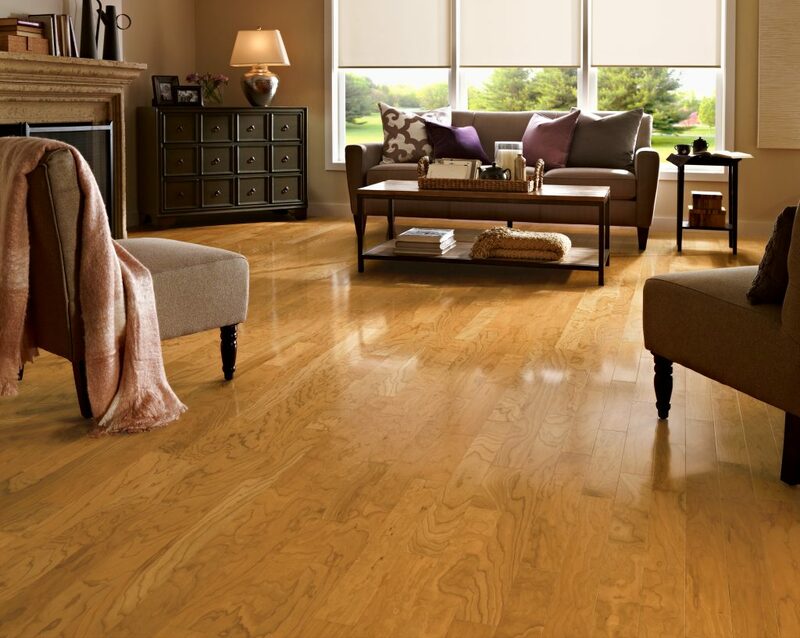 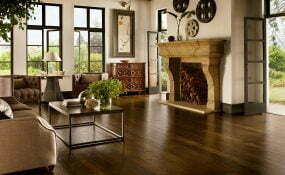 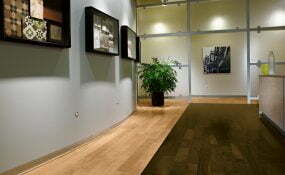 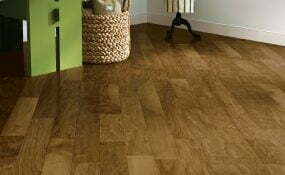 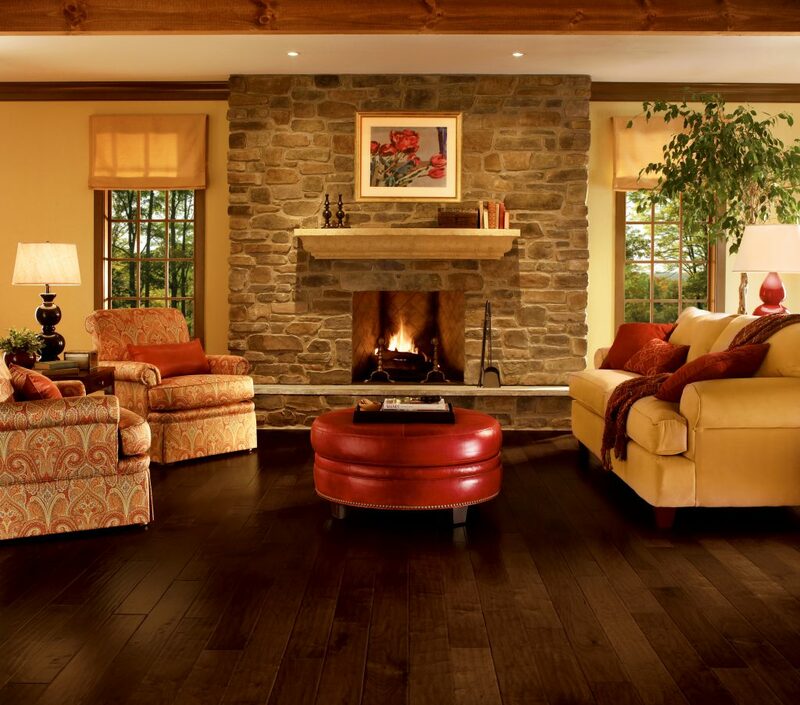 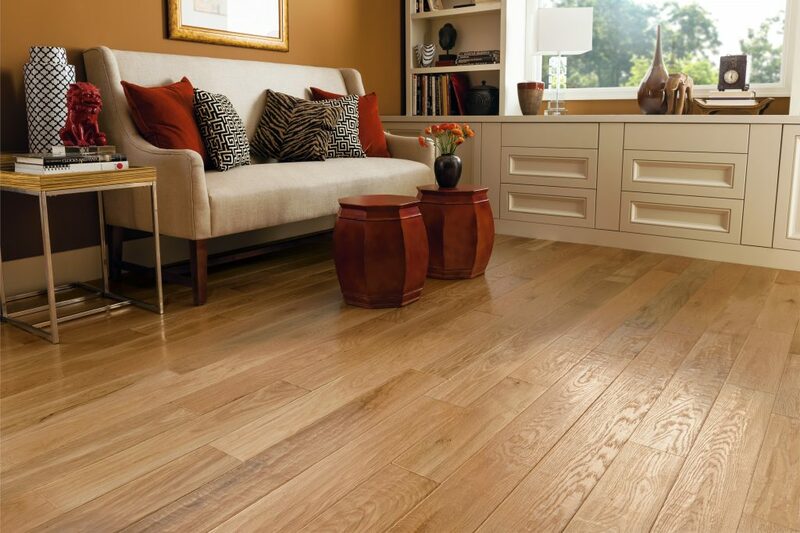 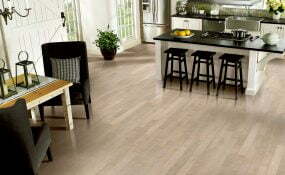 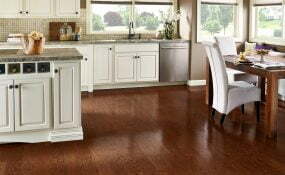 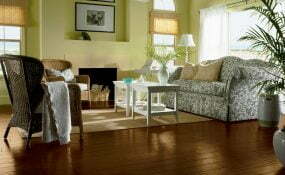 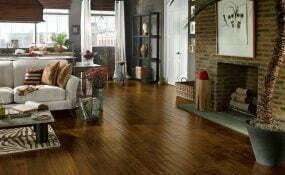 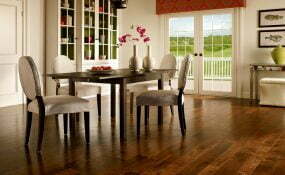 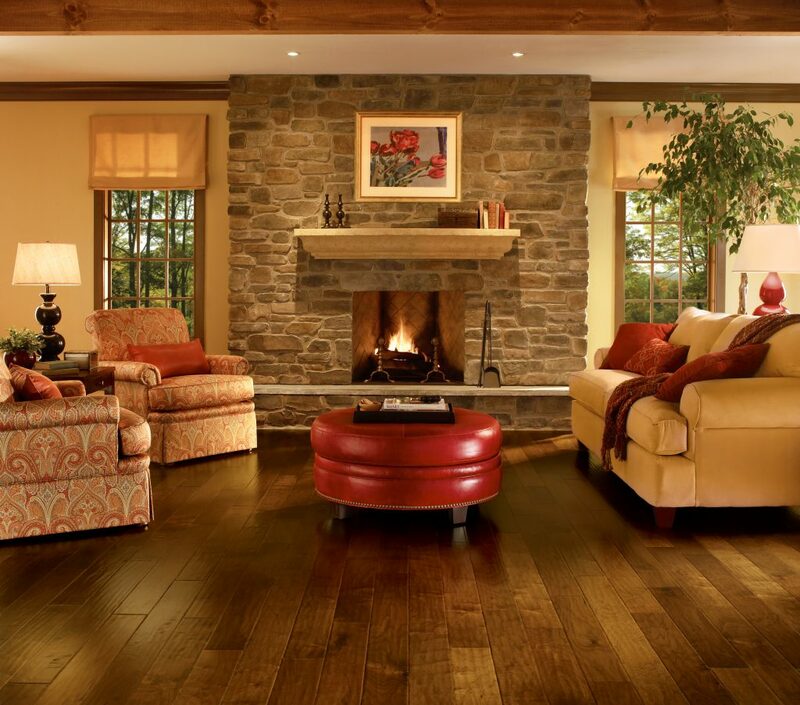 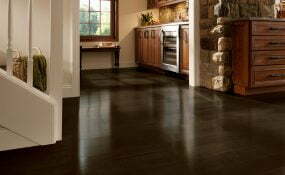 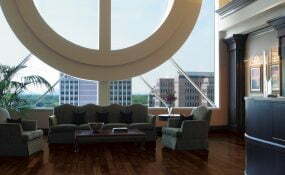 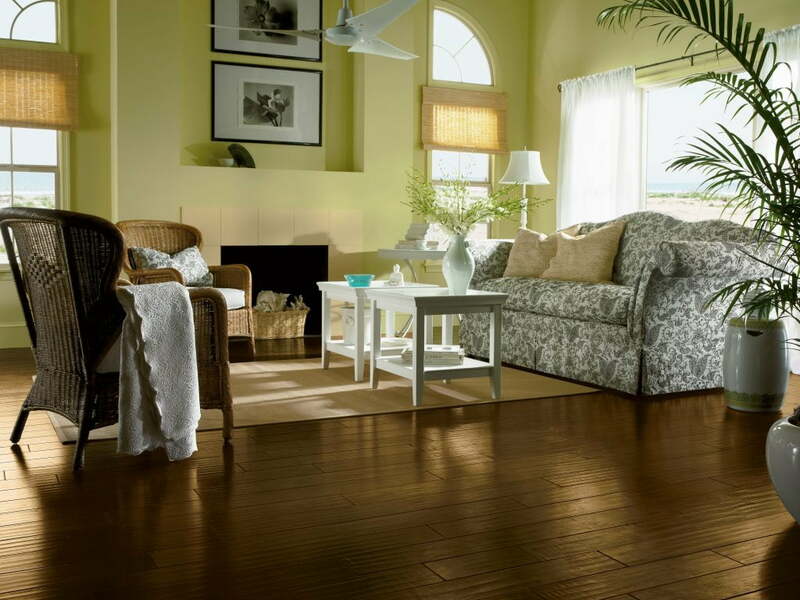 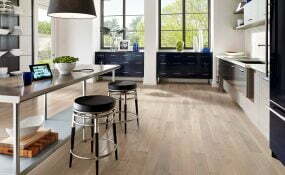 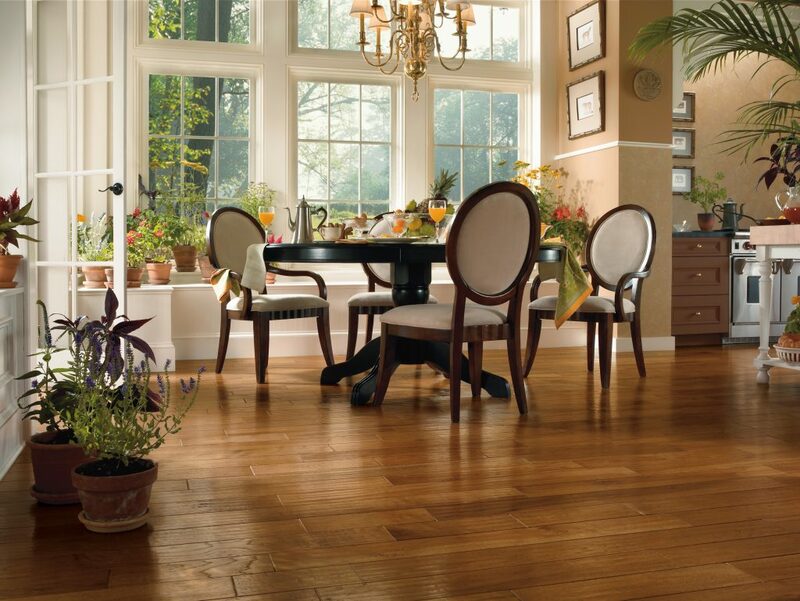 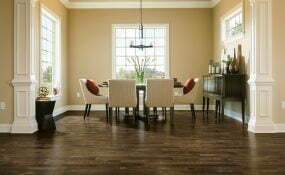 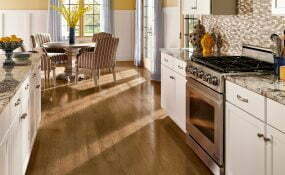 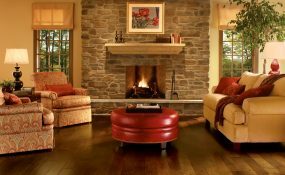 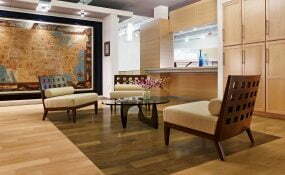 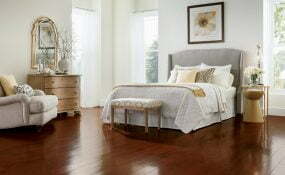 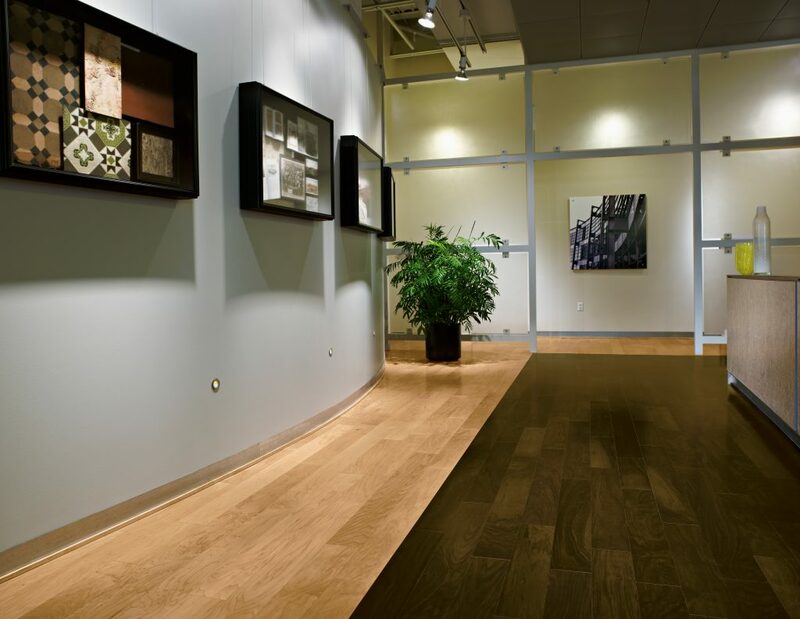 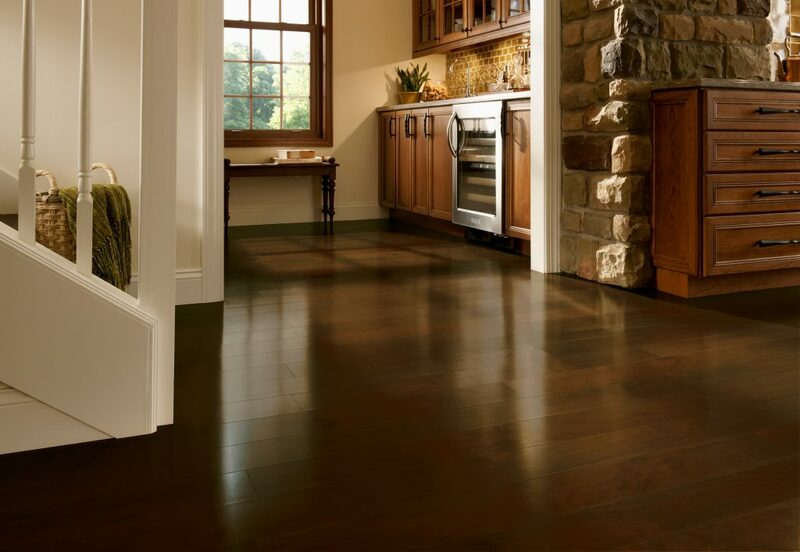 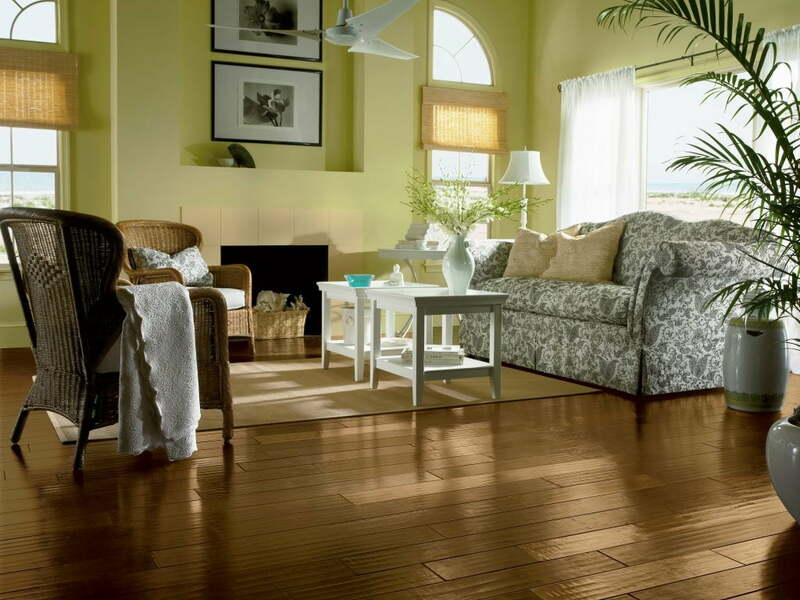 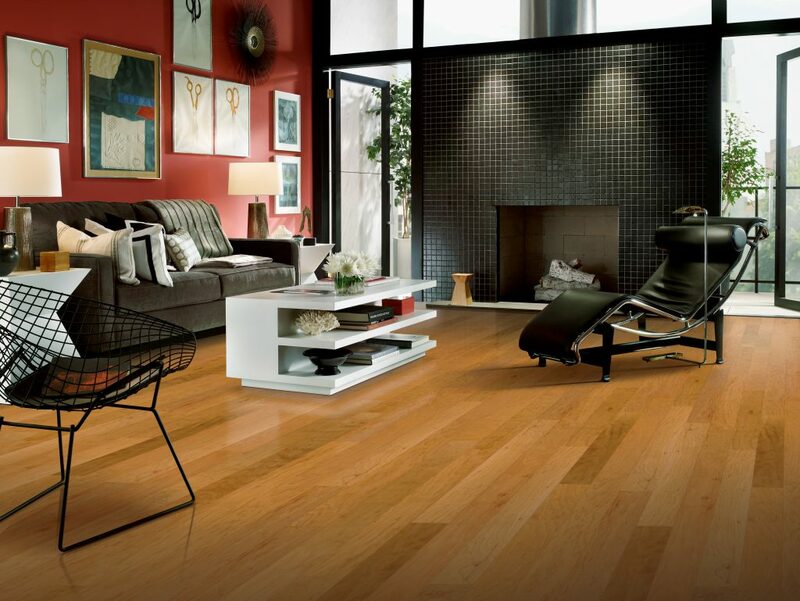 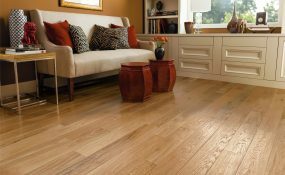 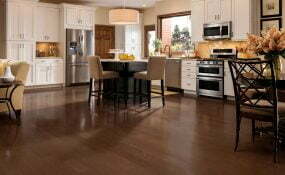 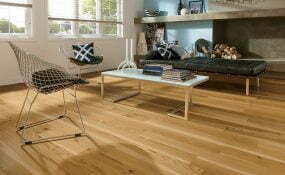 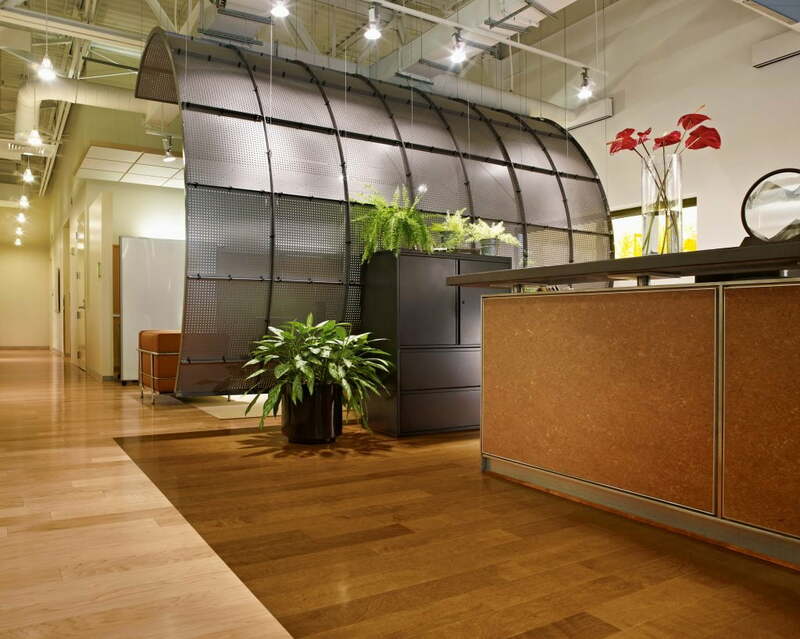 * American Scrape hardwood floors feature more than 90% domestic content. 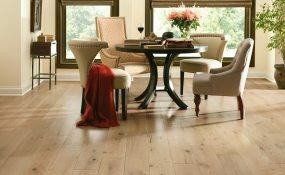 The textured hardwood floors in the Artesian Hand-Tooled collection by Armstrong follow the popular vintage trend of random width boards. 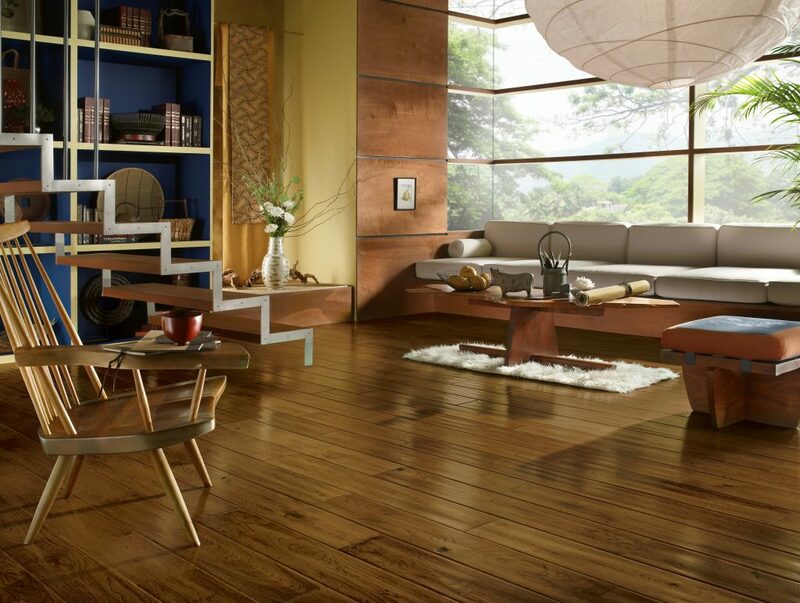 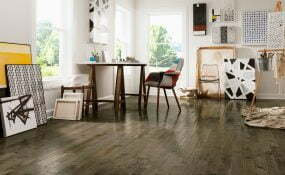 This collection is reminiscent of the hardwood floors installed in homes a hundred years ago or more. 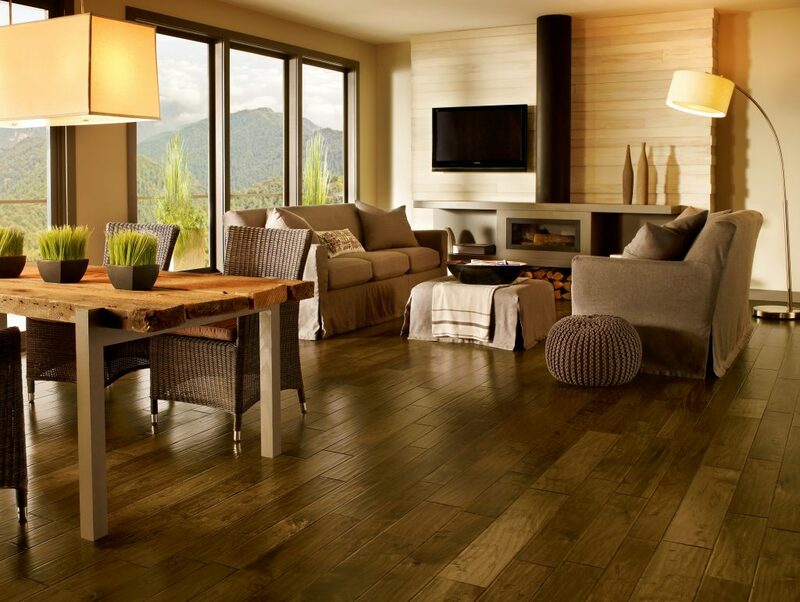 They have an unabashed rustic, heavily textured look. 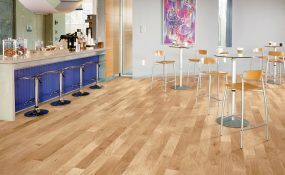 We’ve selected three species for this line, hickory, walnut and birch, that present the deep, hand-scraped look to the best effect. 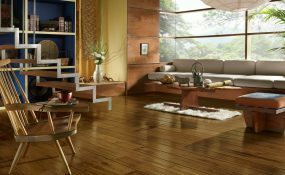 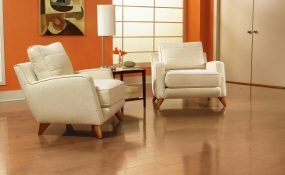 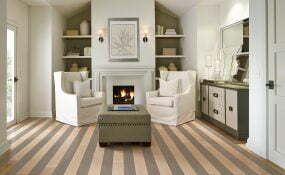 Design Feature: Look for the rough graining in the hickory species that has been accentuated with a color brush treatment. 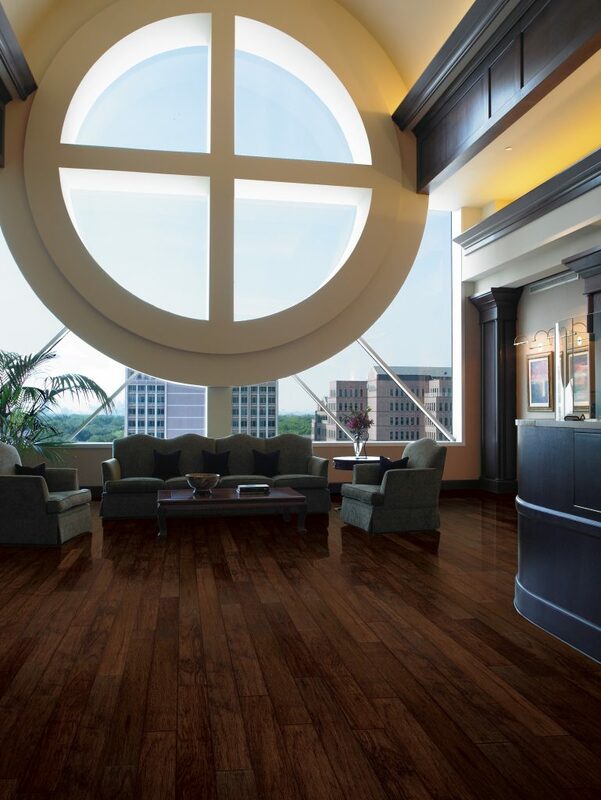 Once upon a time, practically every floor was a hardwood floor, hand carved by carpenters and craftsmen. Some of the most beautiful examples of this craftsmanship remain in the country manor homes of Europe and the mansions of the Old South. 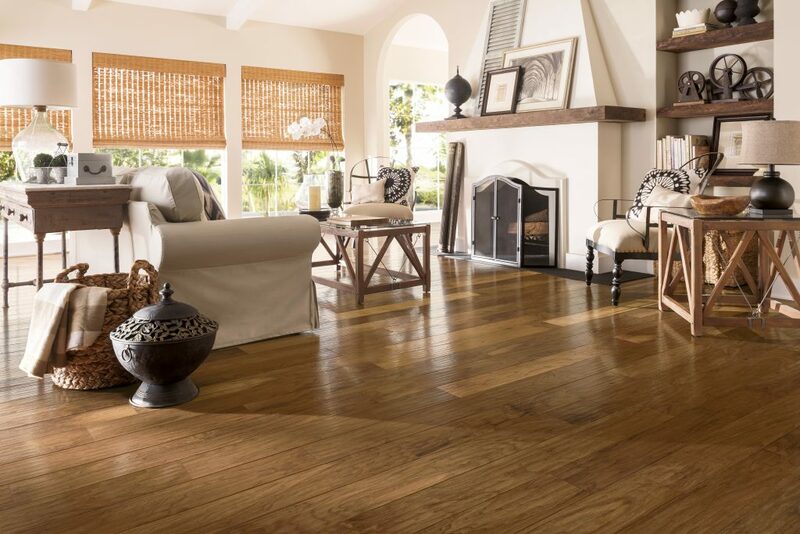 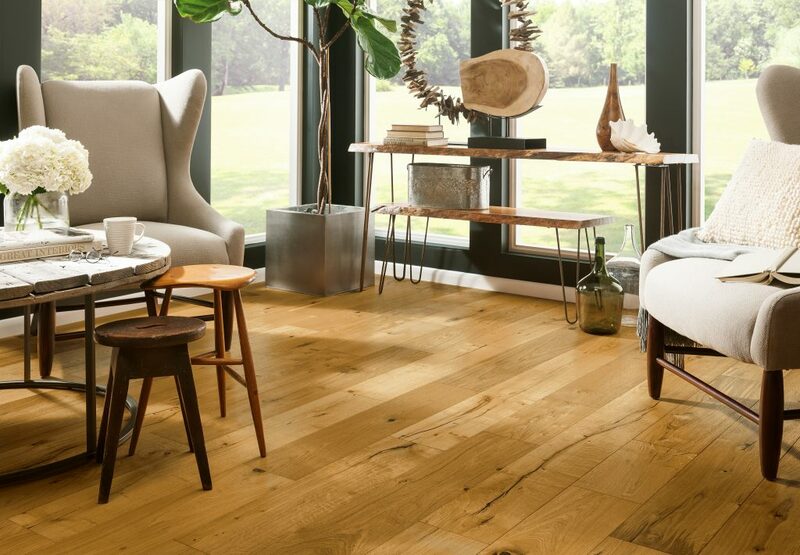 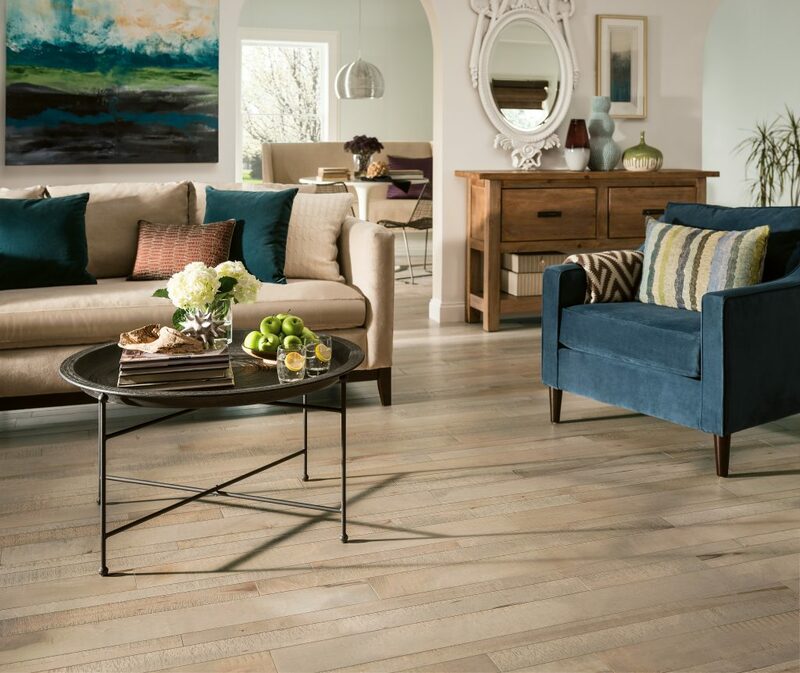 It is these antique plank floors, sculpted by hand and worn to elegant smoothness by the footsteps of generations, that inspired the Armstrong Century Estate collection. 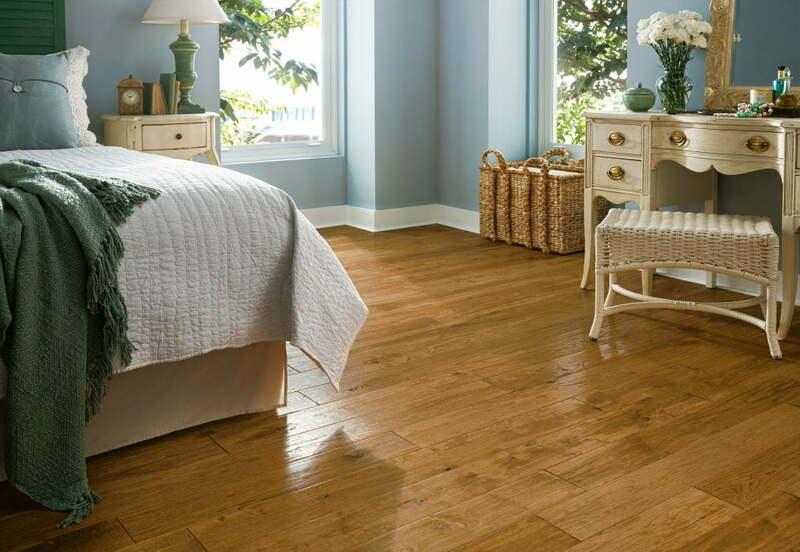 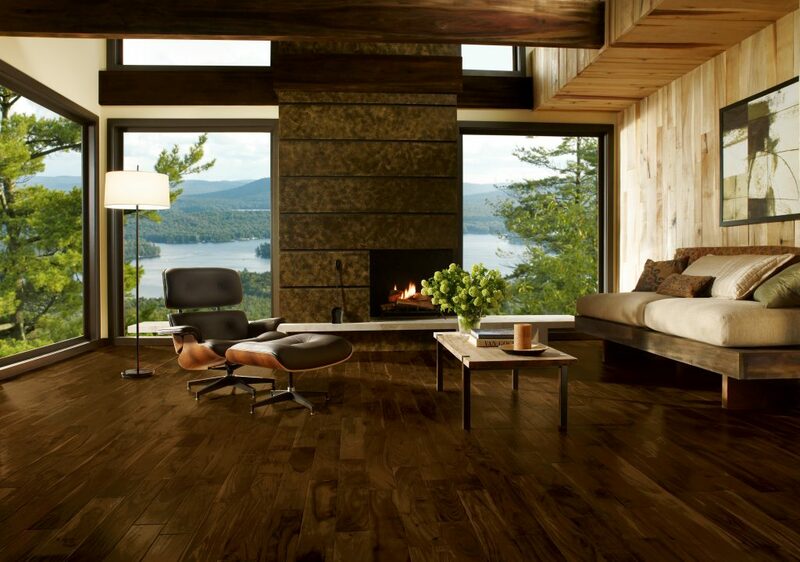 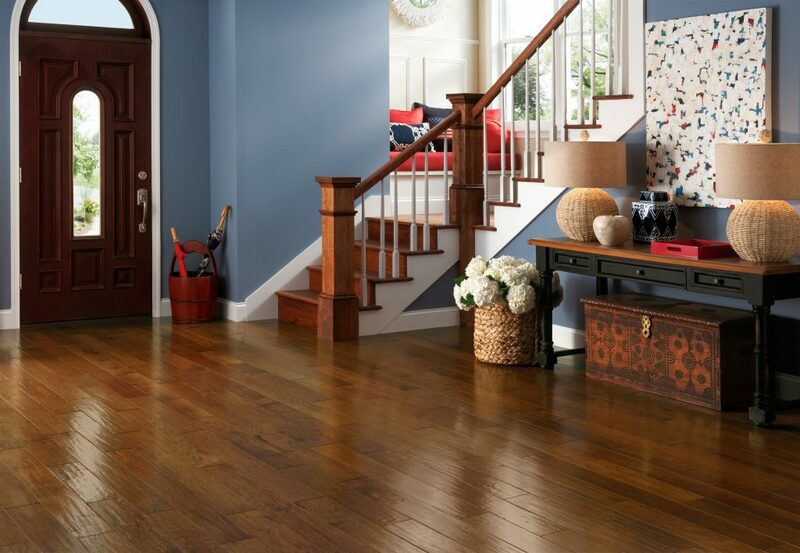 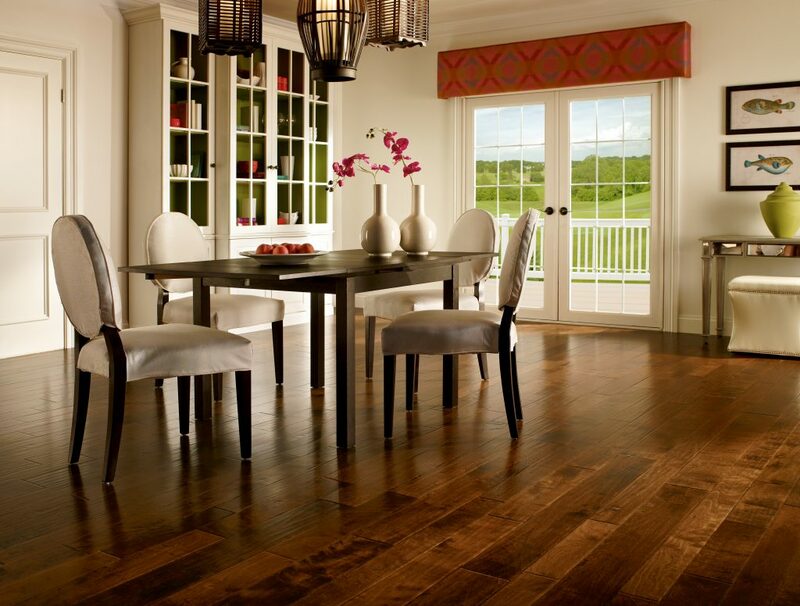 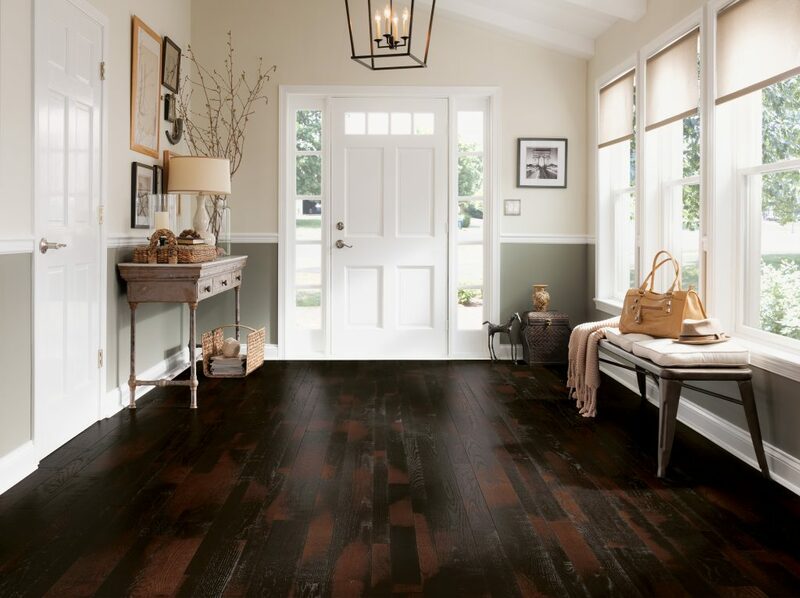 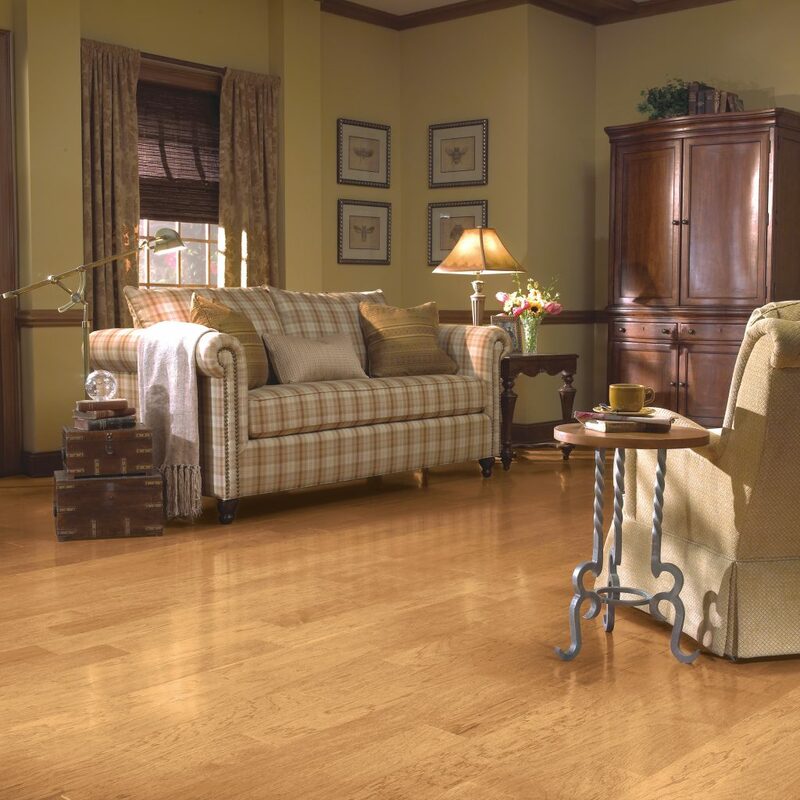 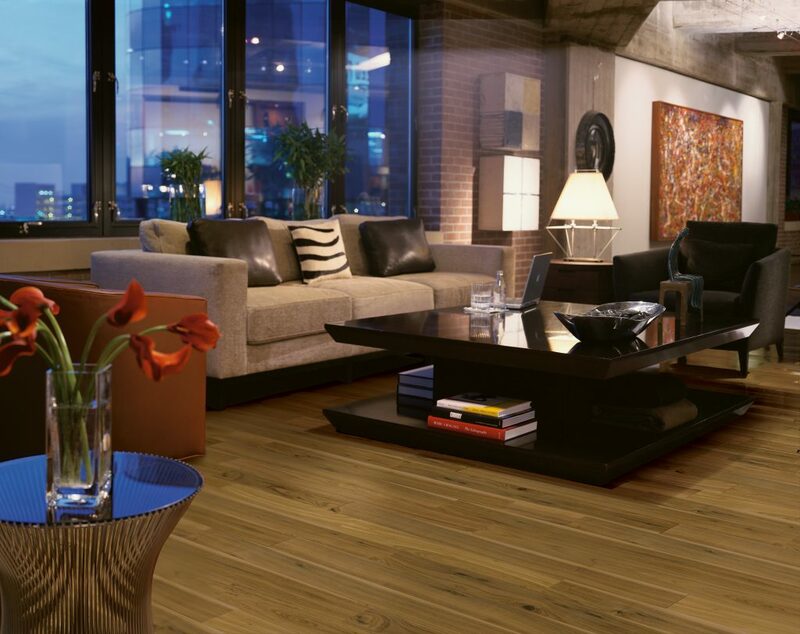 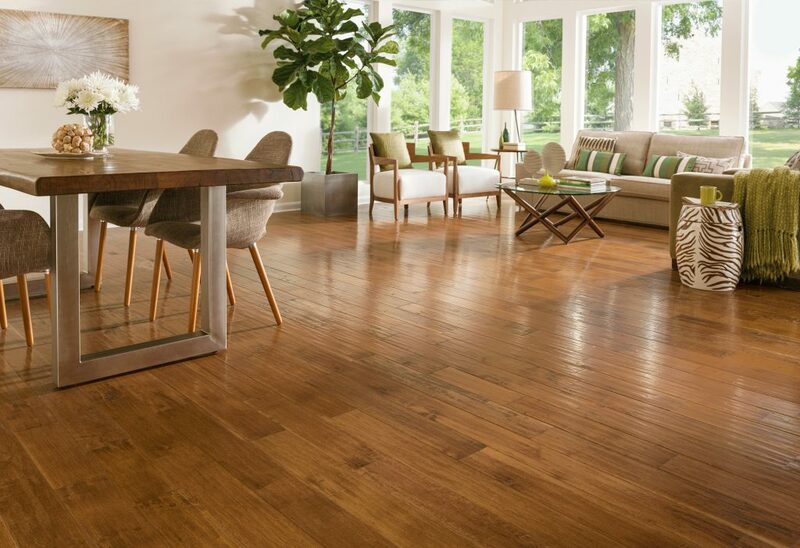 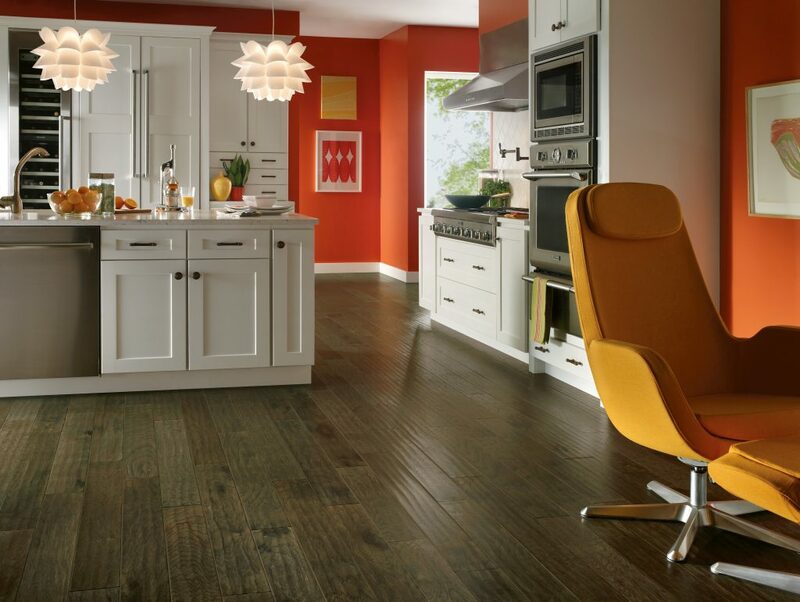 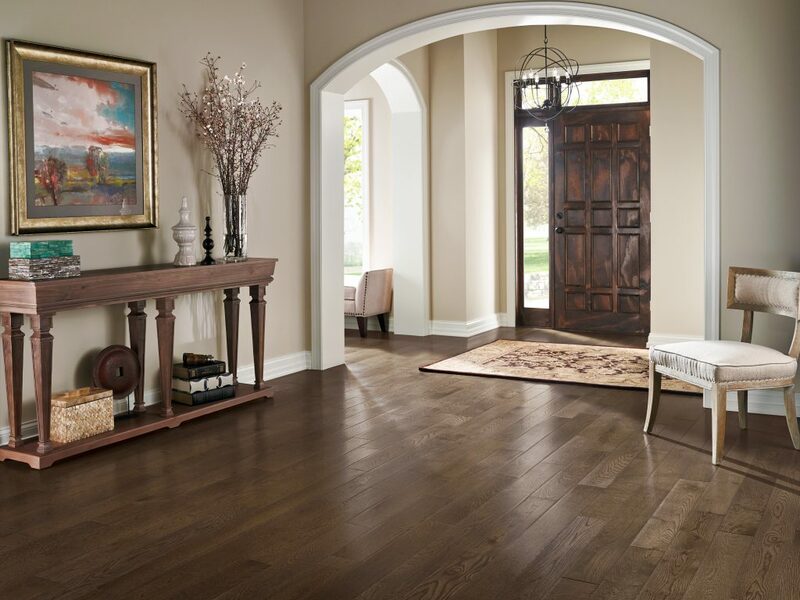 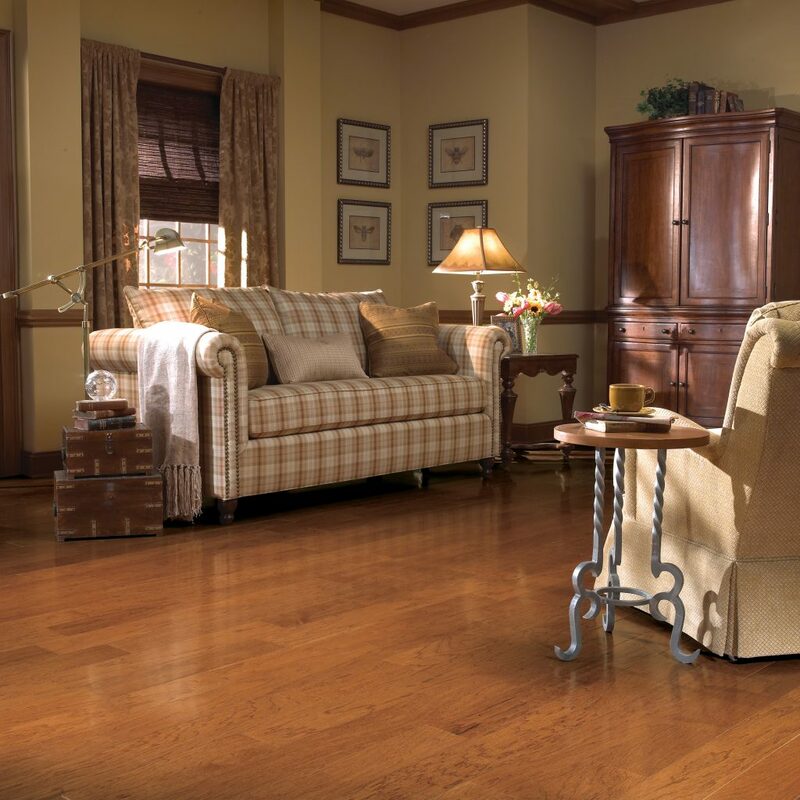 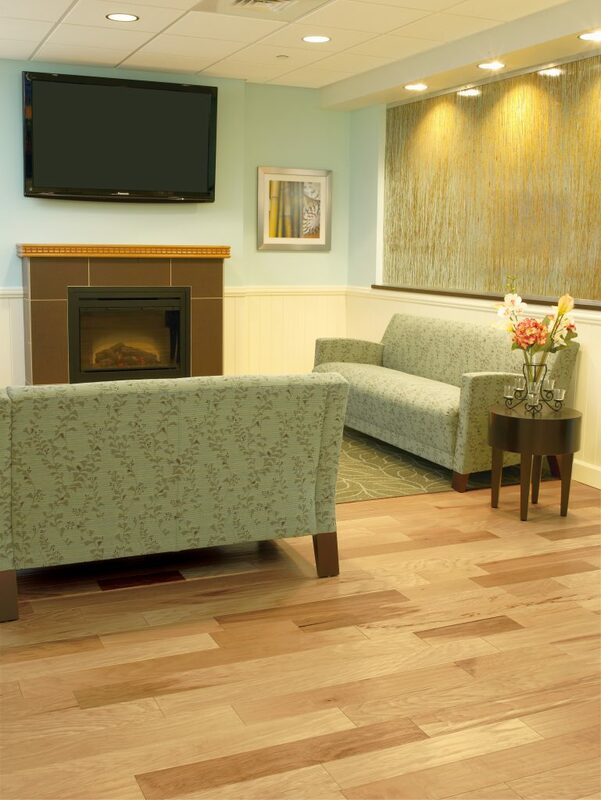 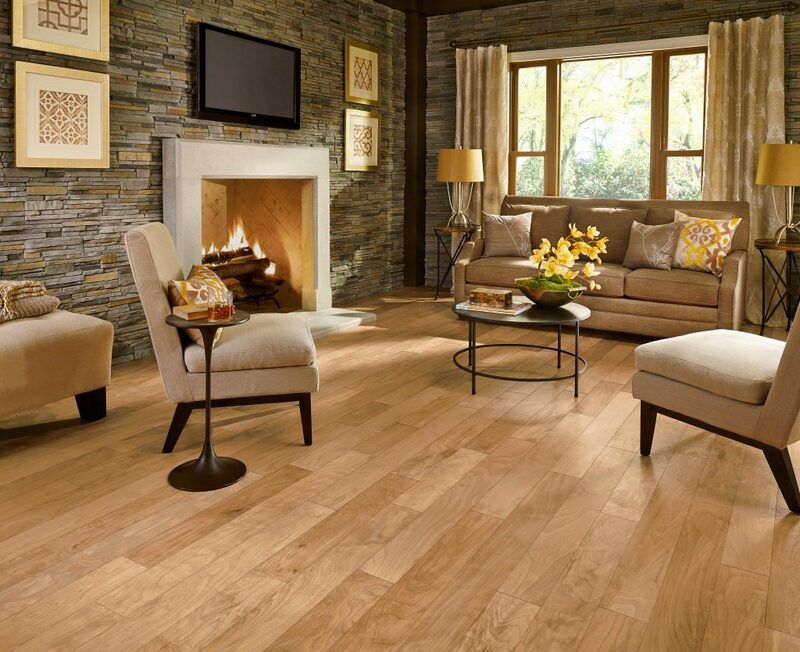 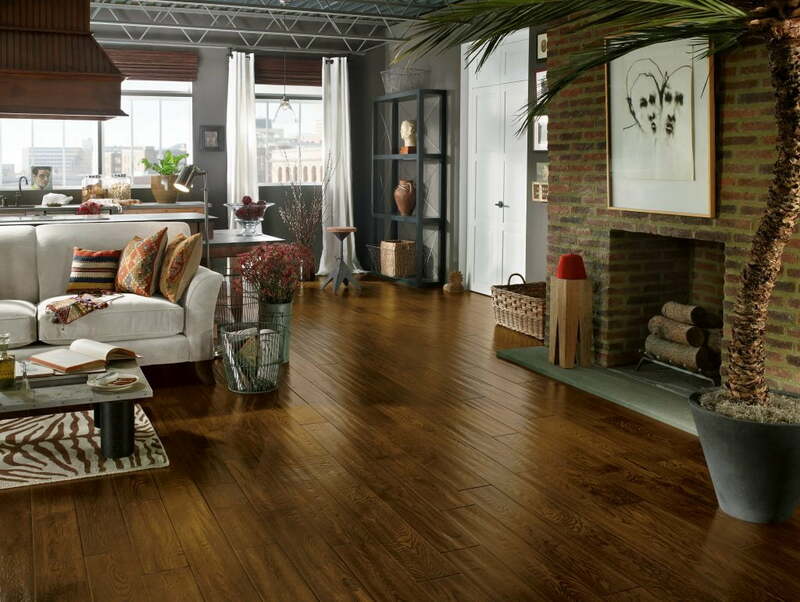 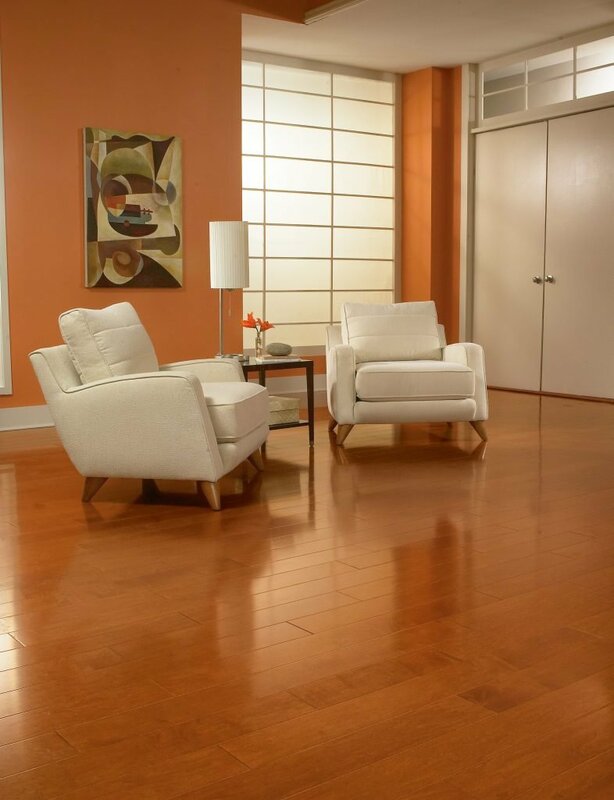 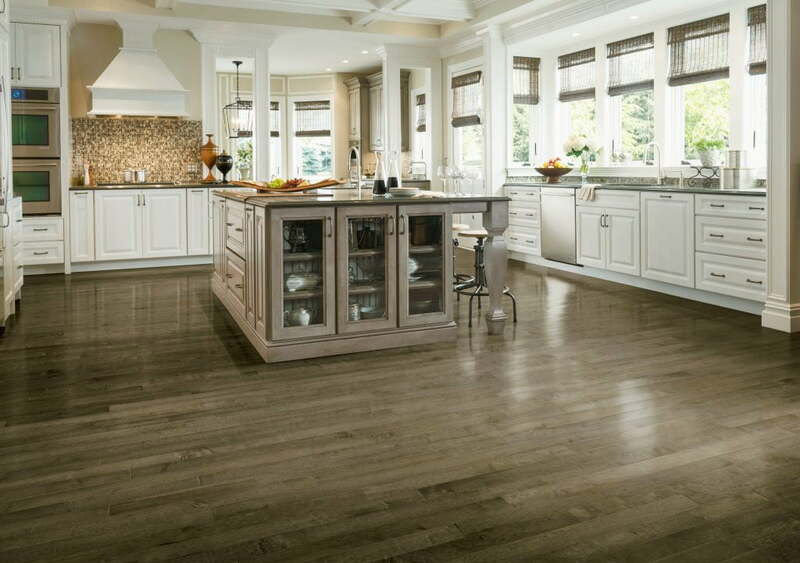 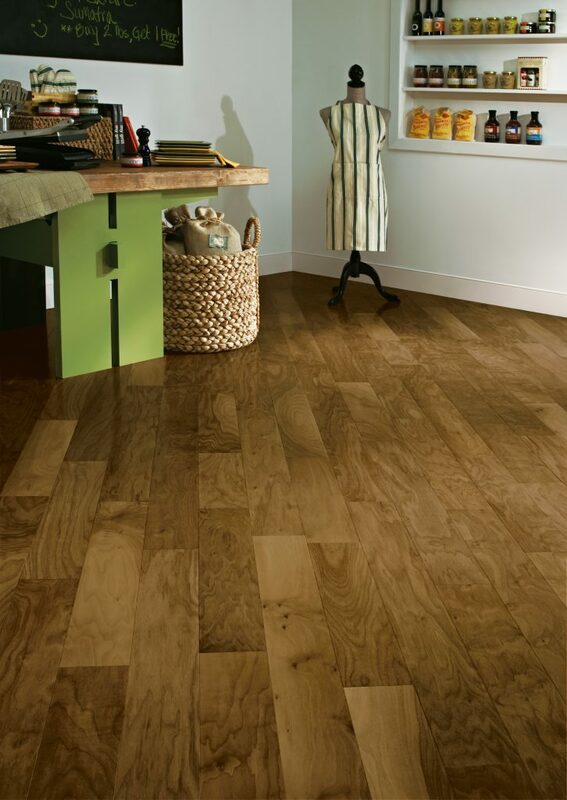 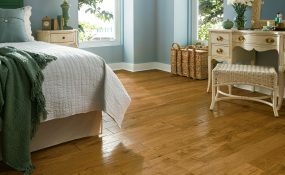 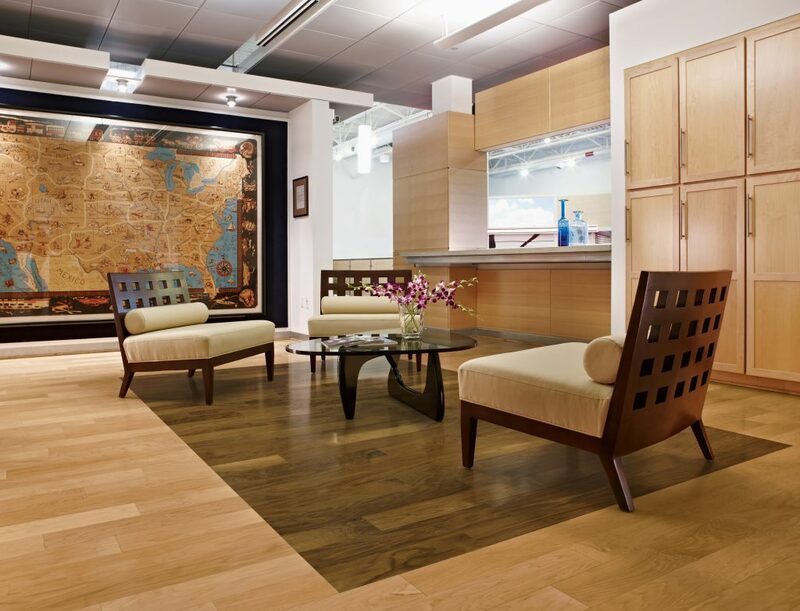 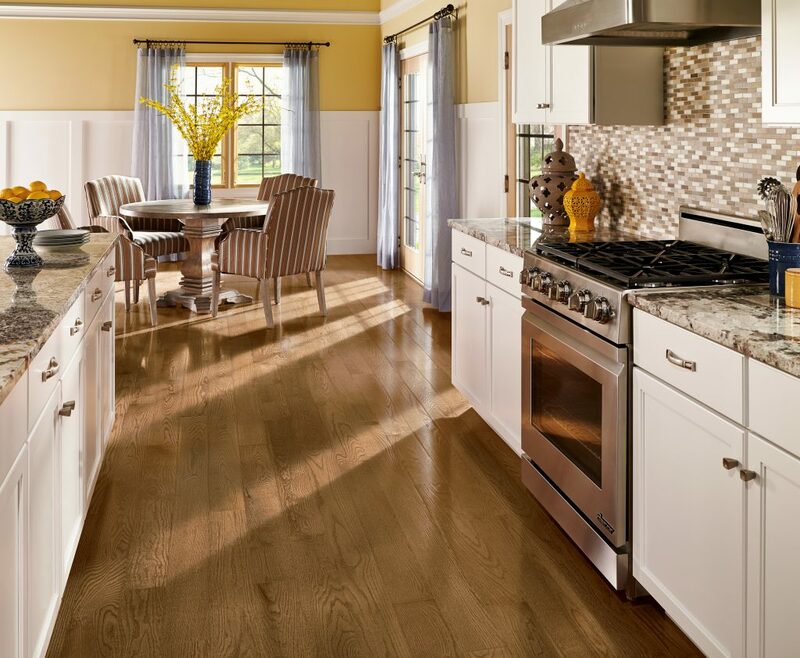 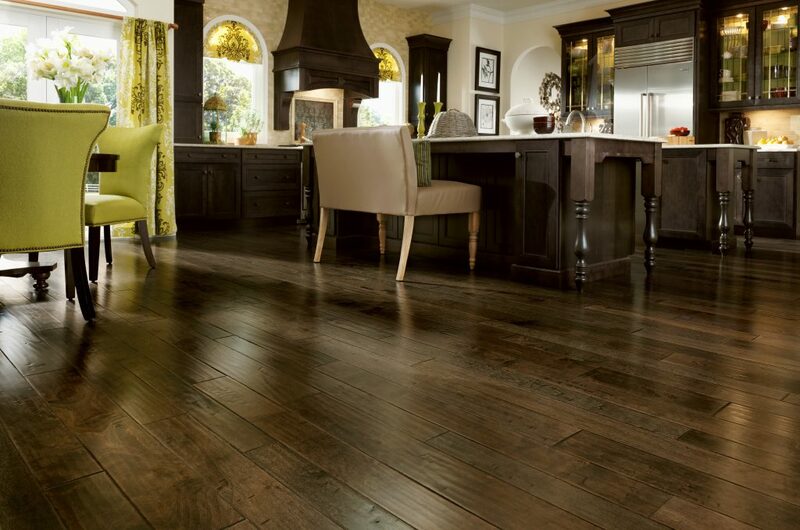 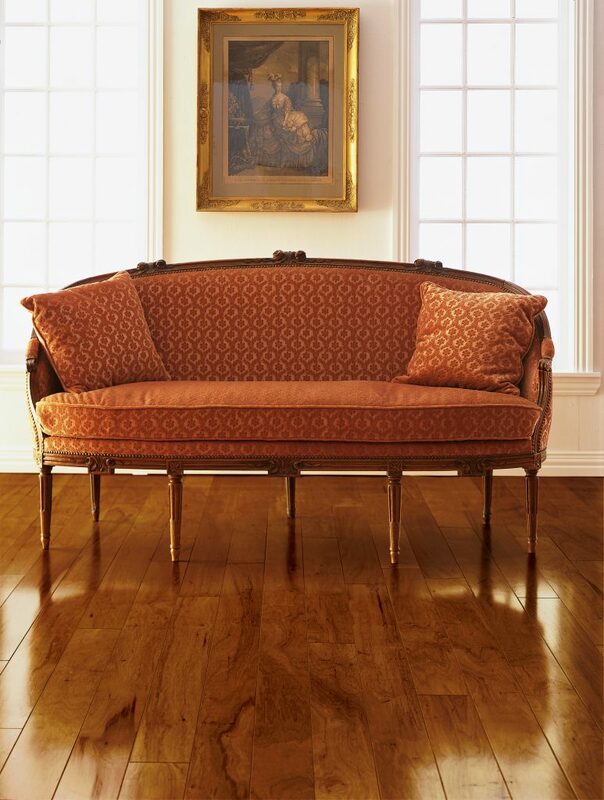 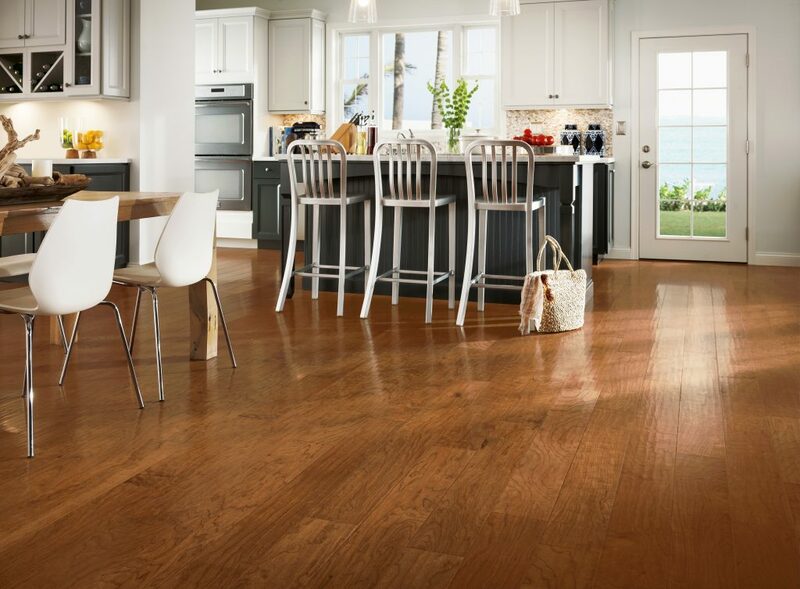 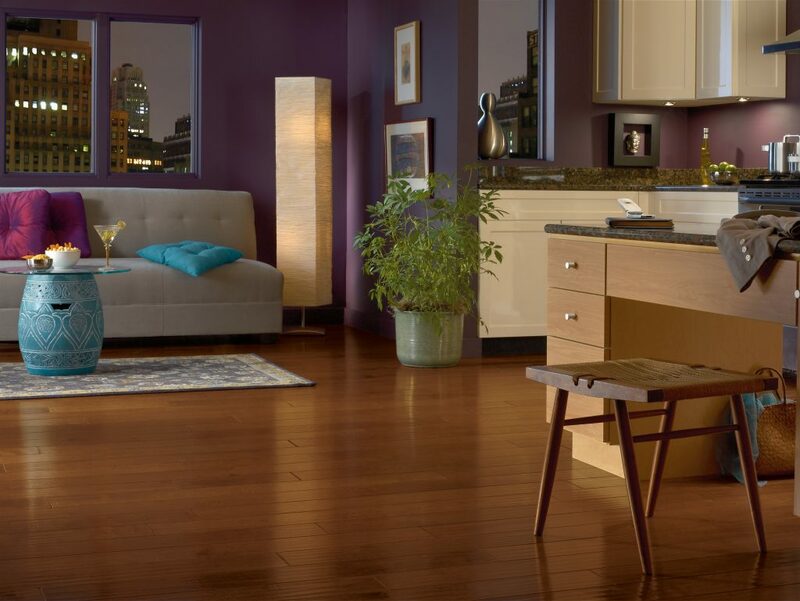 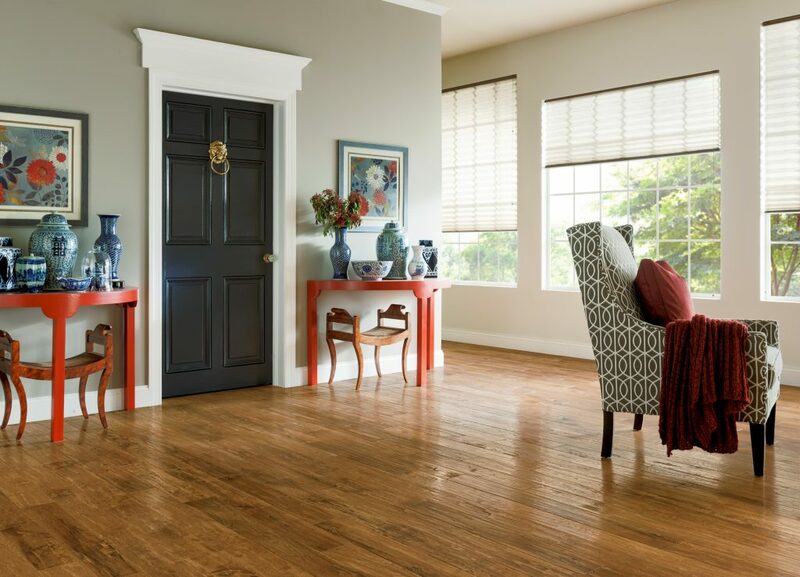 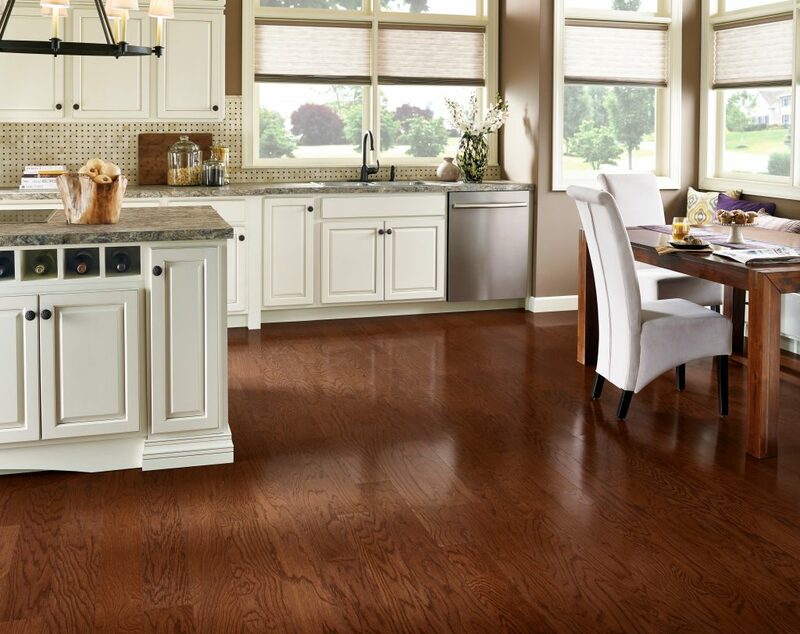 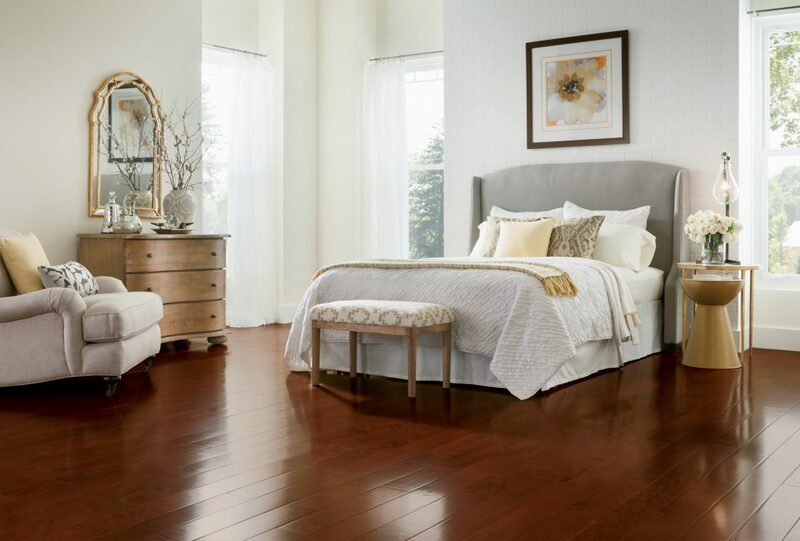 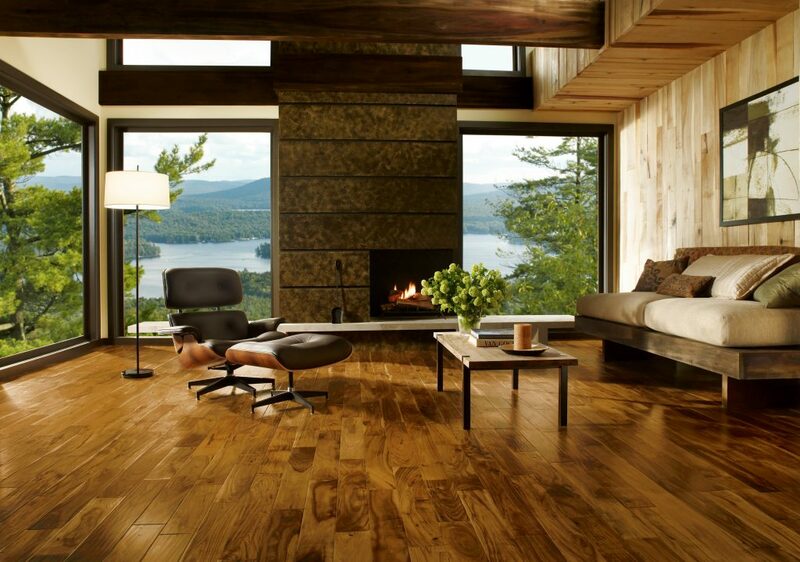 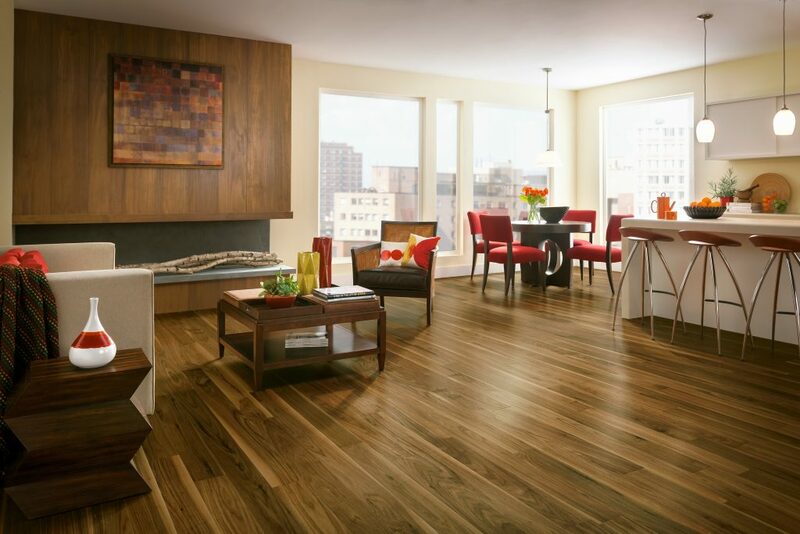 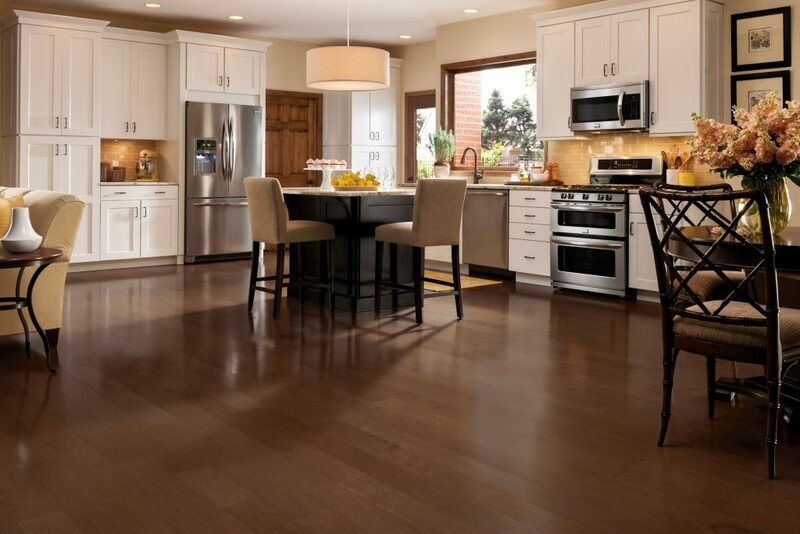 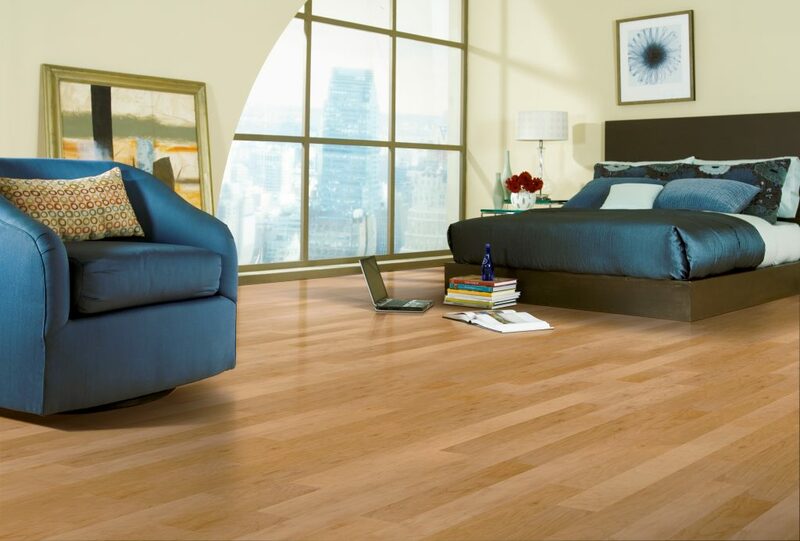 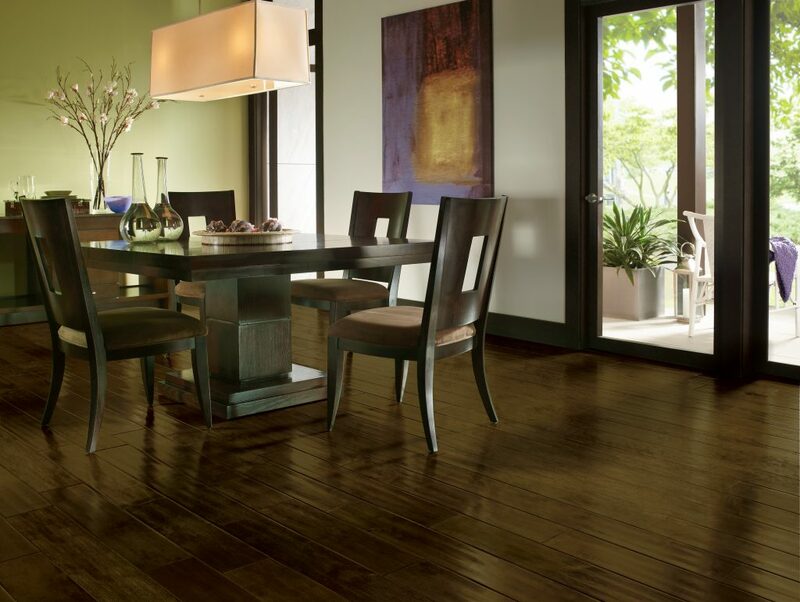 This hardwood design boasts the largest assortment in our Hand-Scraped collection. 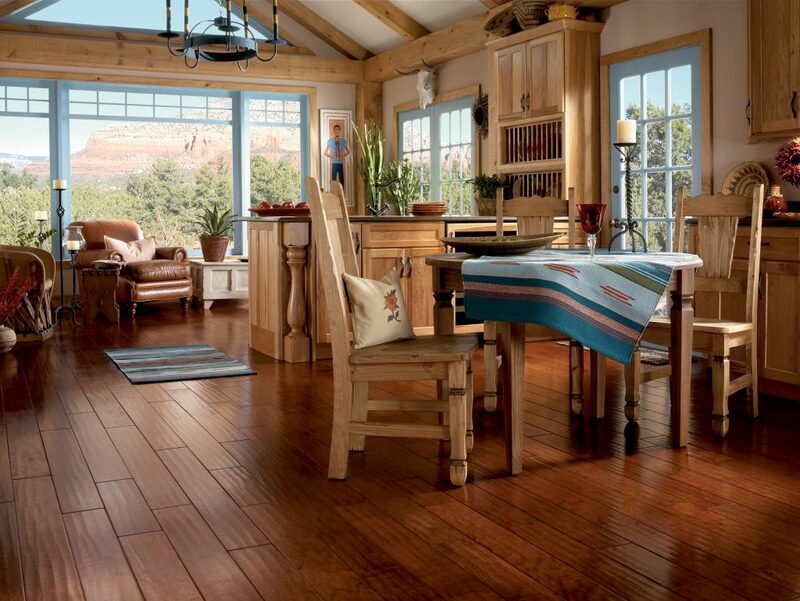 Expertly crafted as in days gone by, but refreshed with updated colors such as Mountain Smoke, any one of these floors will meet your high standards. 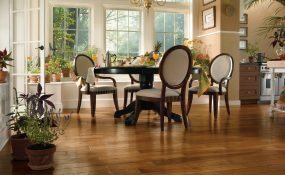 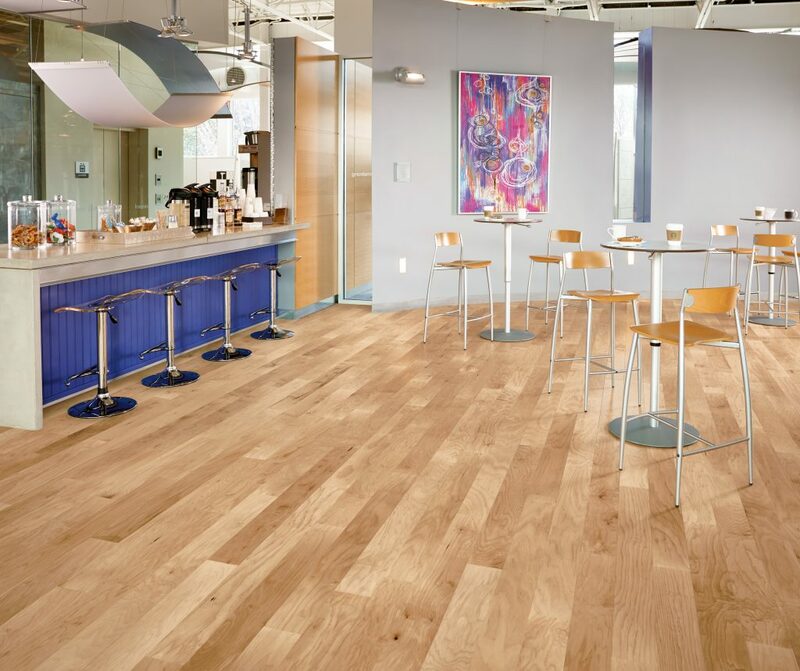 Designed for today’s decorating trends and beyond, Century Farm is available in Hickory, Birch, Cherry, Maple and Walnut engineered hardwoods. 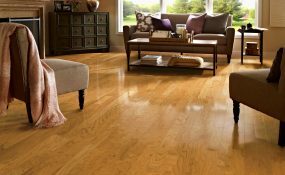 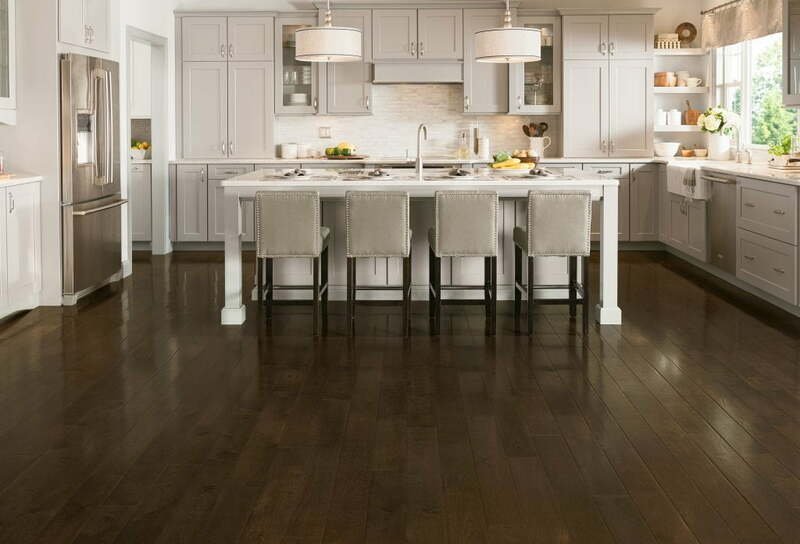 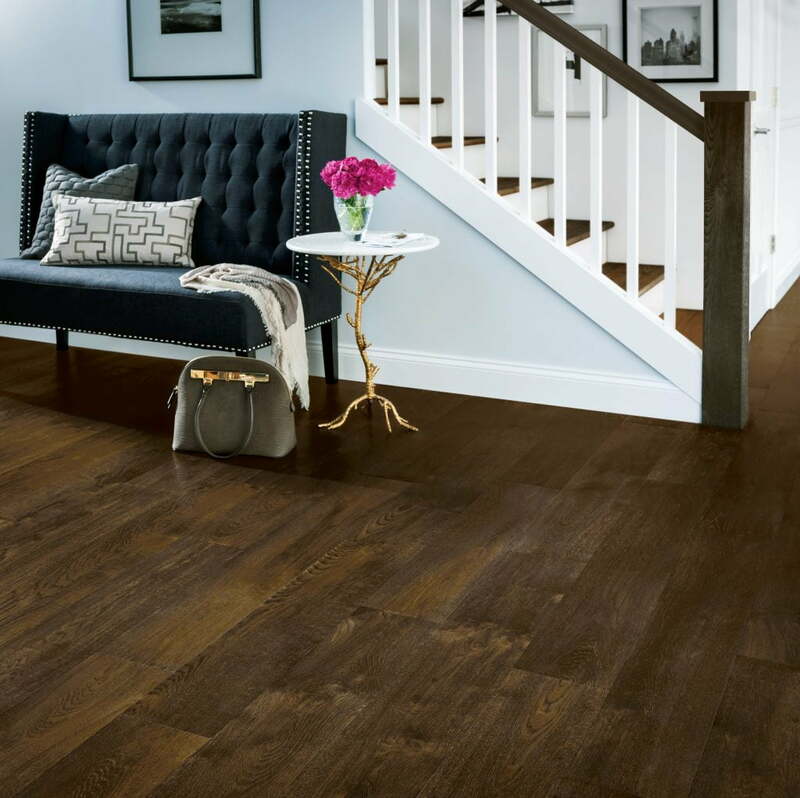 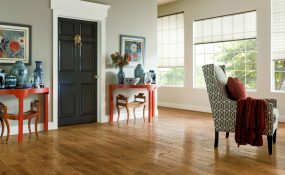 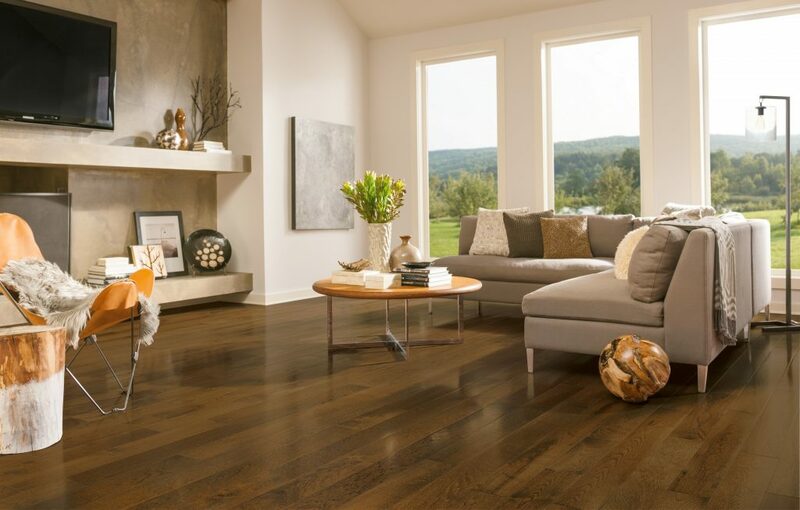 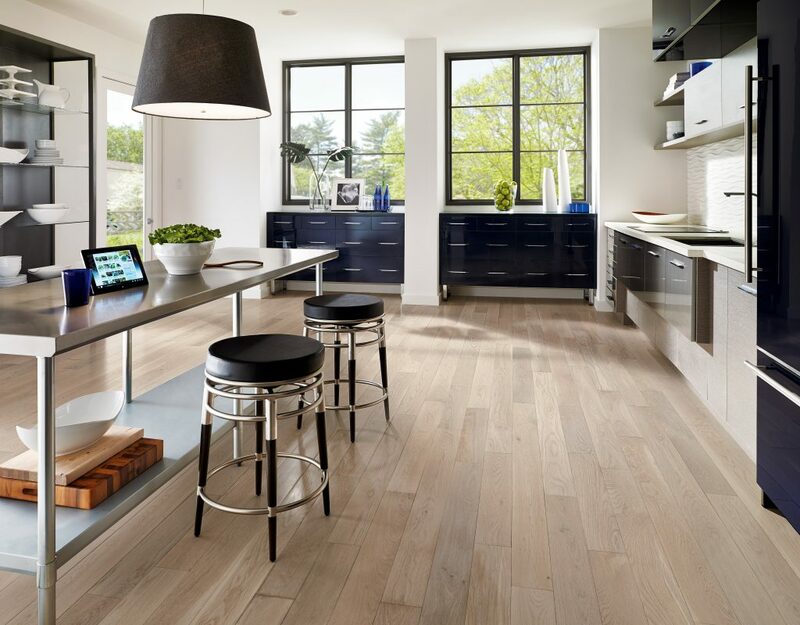 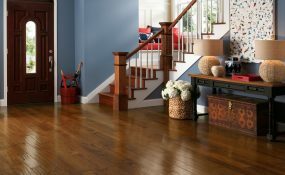 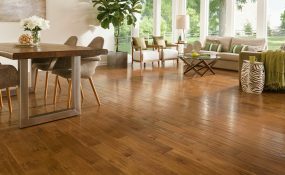 For a floor that’s tough inside and out, Armstrong Performance Plus hardwood has the strength to stand up to everyday life in even the busiest home. 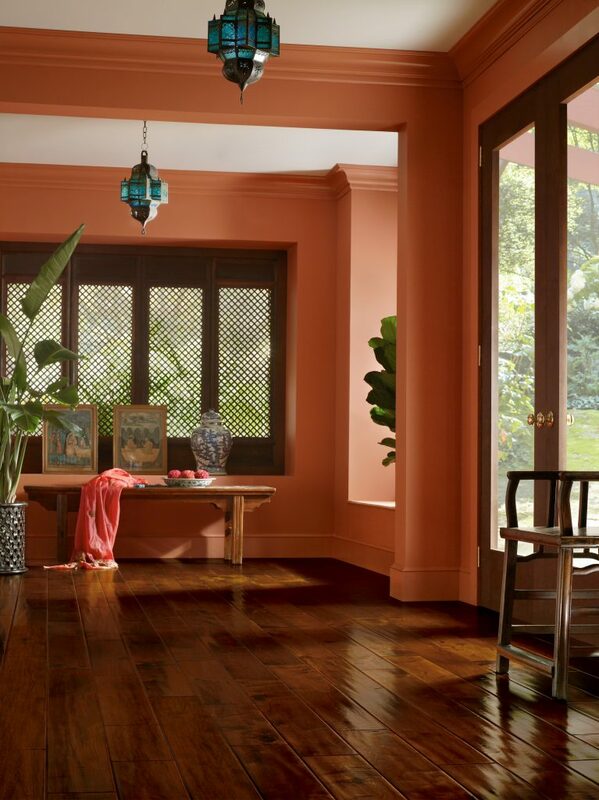 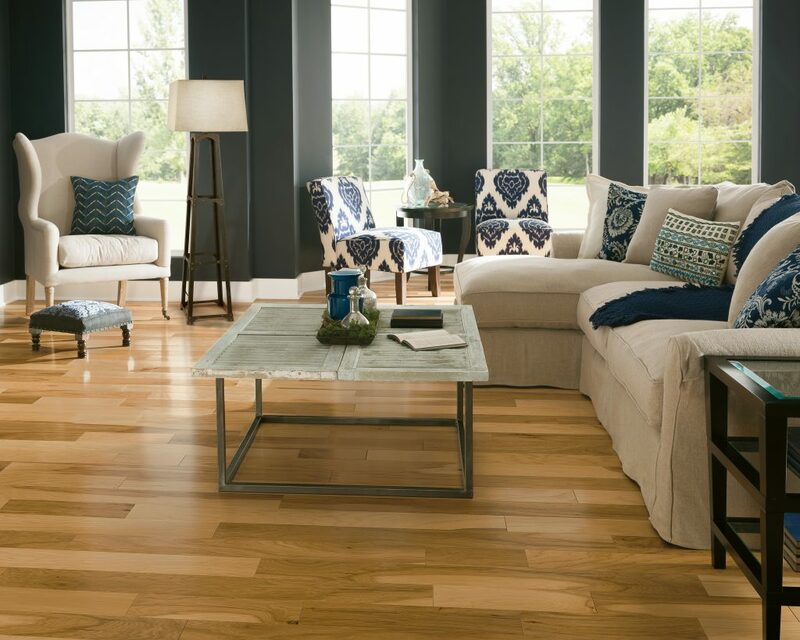 Choose from a gorgeous selection of colors in this smooth and strong hardwood collection that complements traditional, contemporary, and urban décor styles. 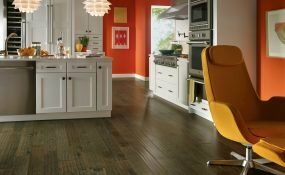 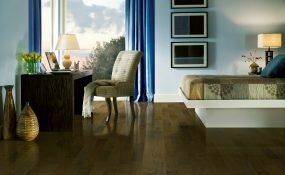 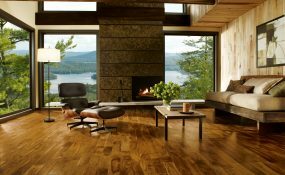 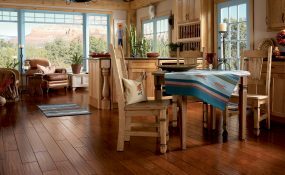 Exotic hardwoods grown outside tropical areas, like acacia and walnut, are gaining in popularity in the rustic hardwood flooring category these days. 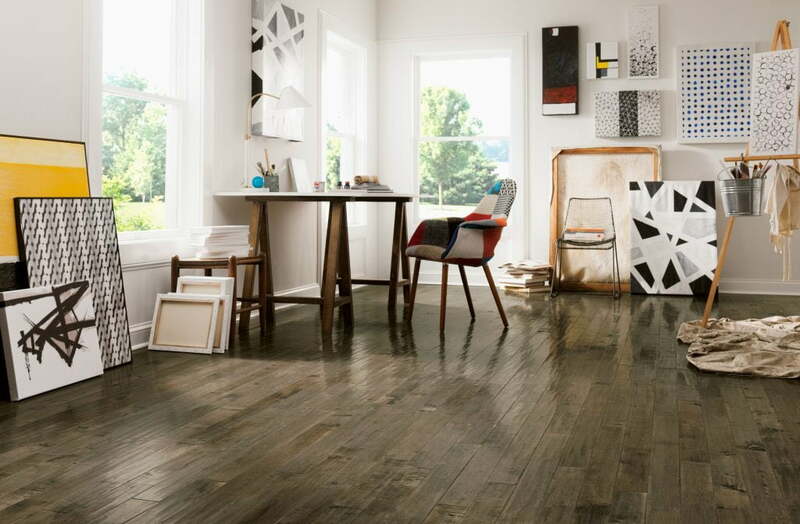 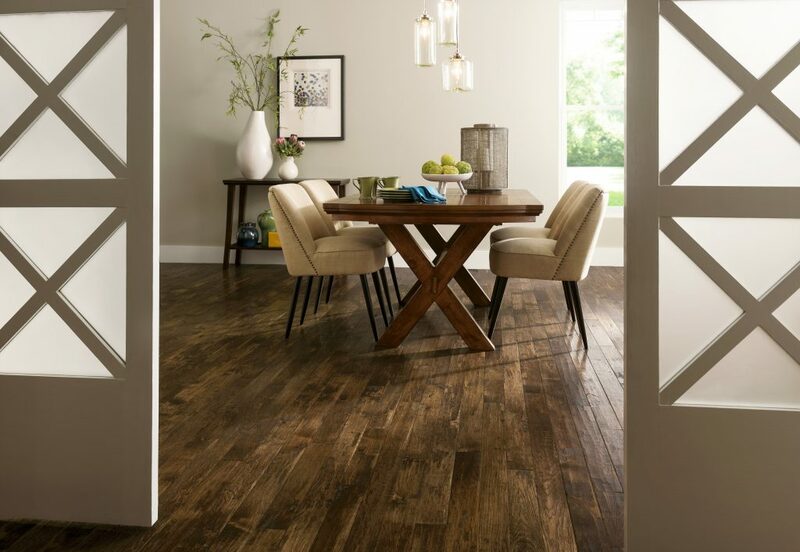 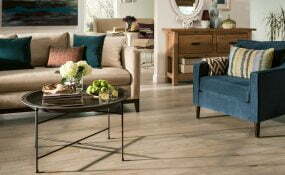 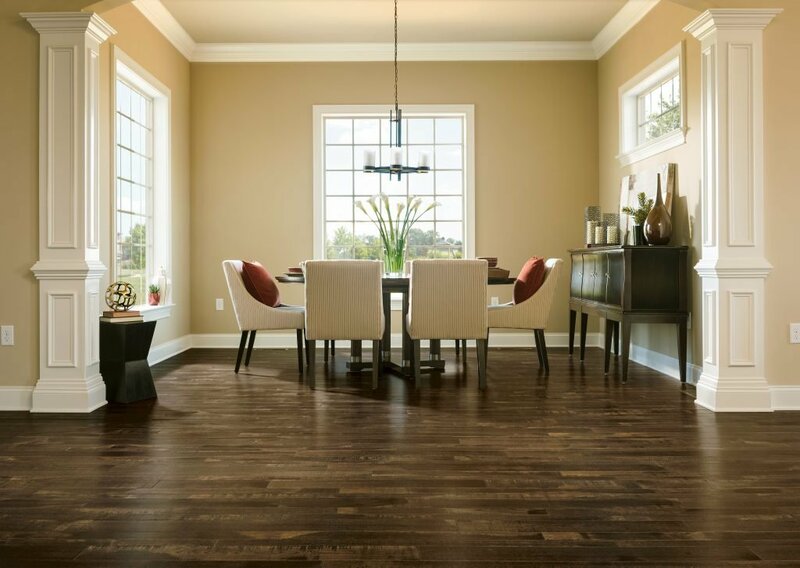 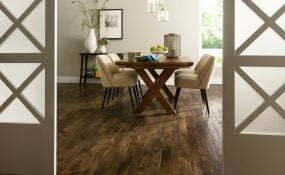 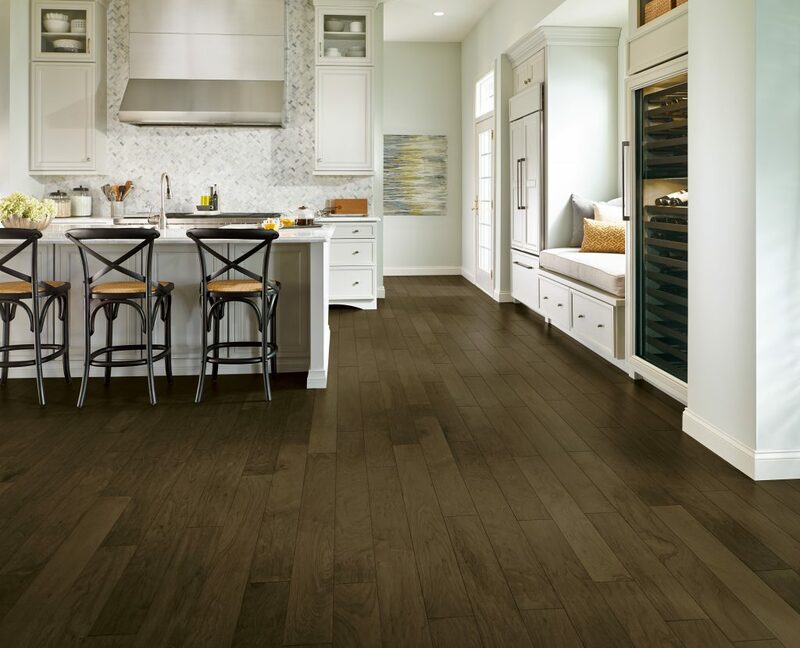 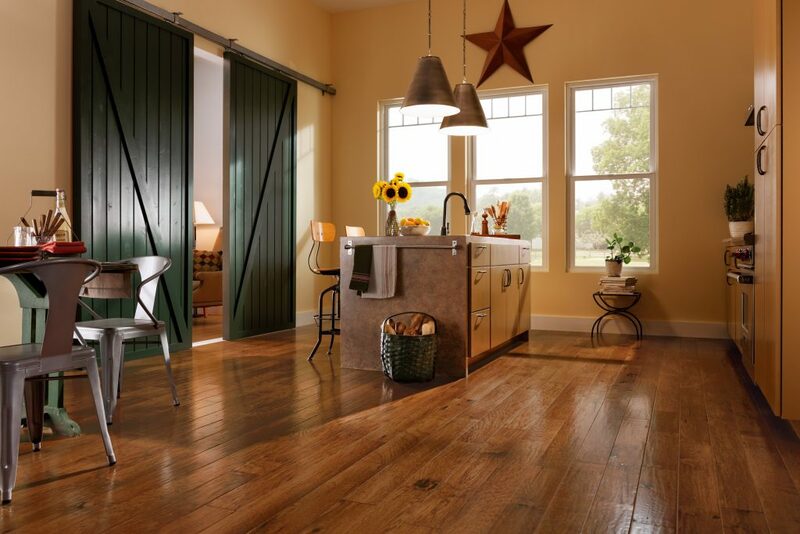 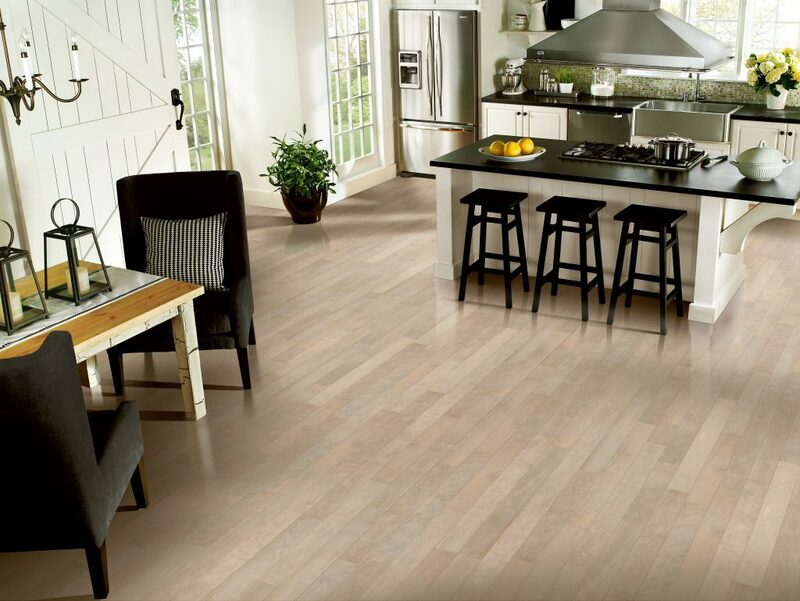 With homeowners looking for fresh and exciting home interior elements to make a personal statement about their style, Rustic Accents from Armstrong offers that one-of-a-kind floor these homeowners are looking for. 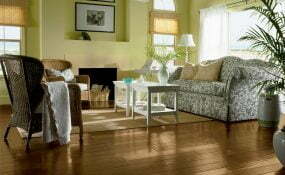 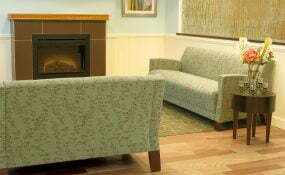 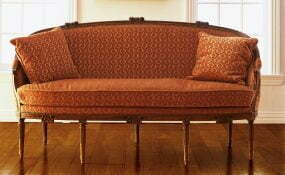 The acacia species has an “active” grain that works well in a room with a natural and simplistic décor. 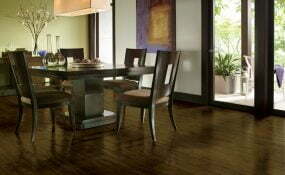 The walnut also has active graining, but the color variation in this species is more quiet and subdued.